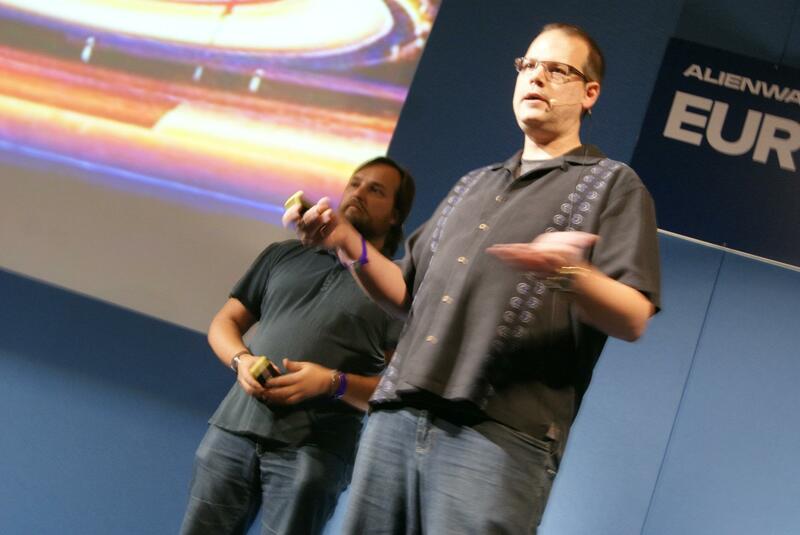 Why you should get mad about having to pay, not the gay planet. 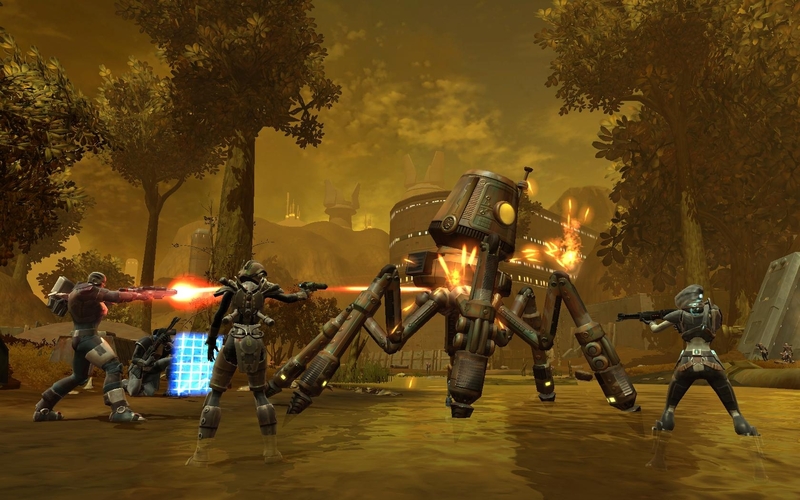 Bioware's Executive Producer of Live Services Jeff Hickman chats to us about the future of TOR and the MMO genre. 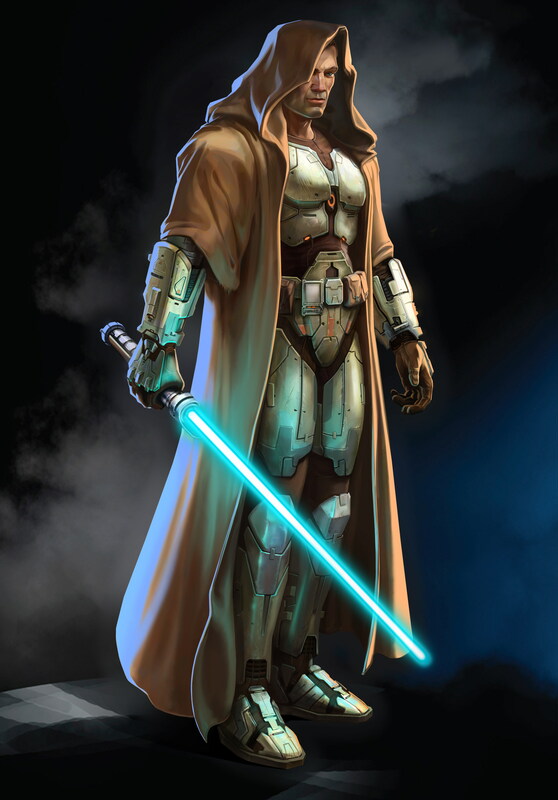 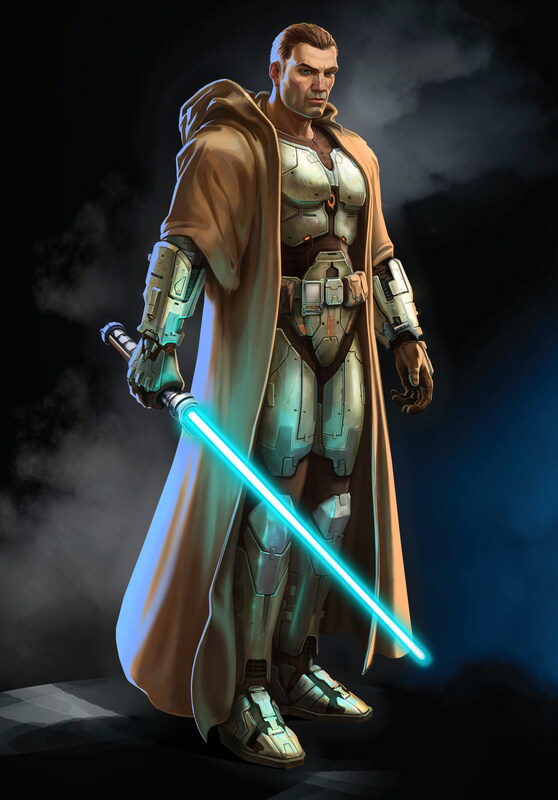 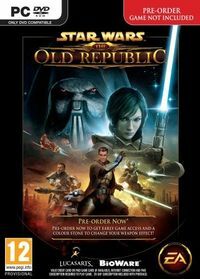 We take a look at the massively multiplayer successor to the classic Knights of the Old Republic titles and see how Bioware are working to bring the game into the online arena. 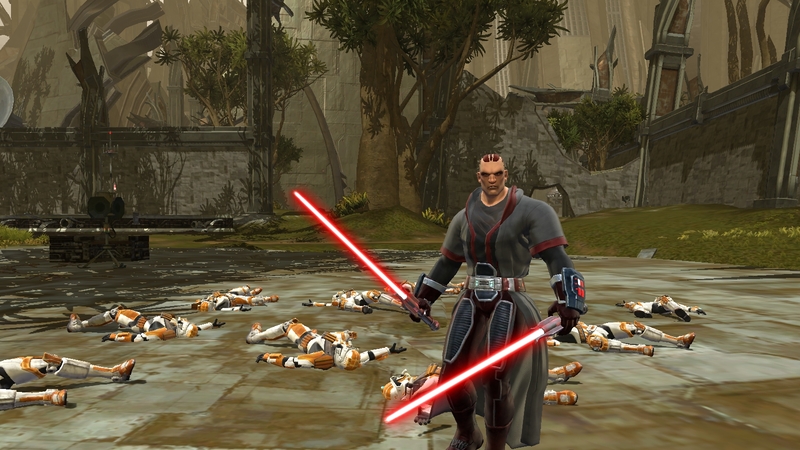 BioWare Austin GM is now group GM. 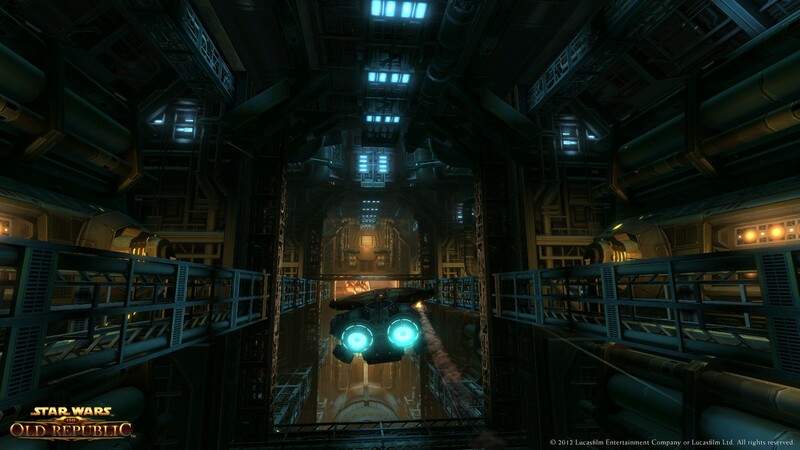 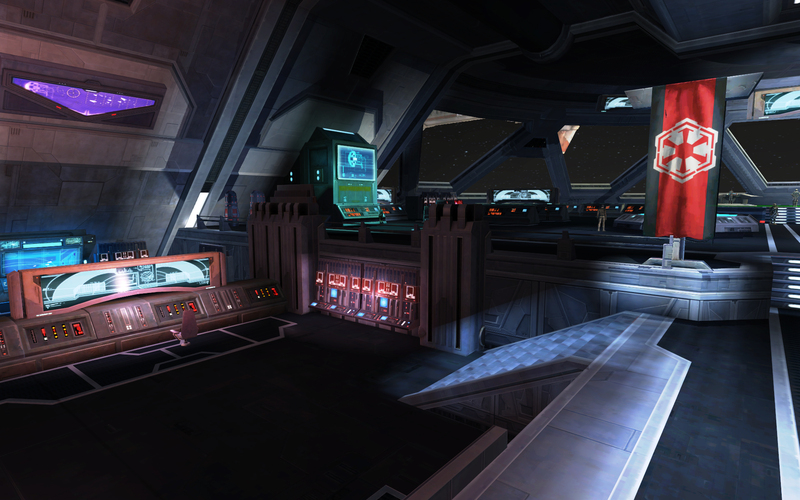 Now you can journey the galaxy without a subscription. 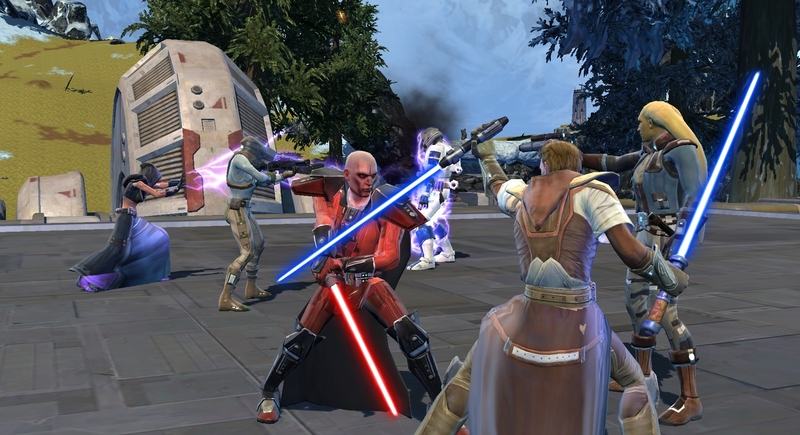 Another key developer has left Bioware. 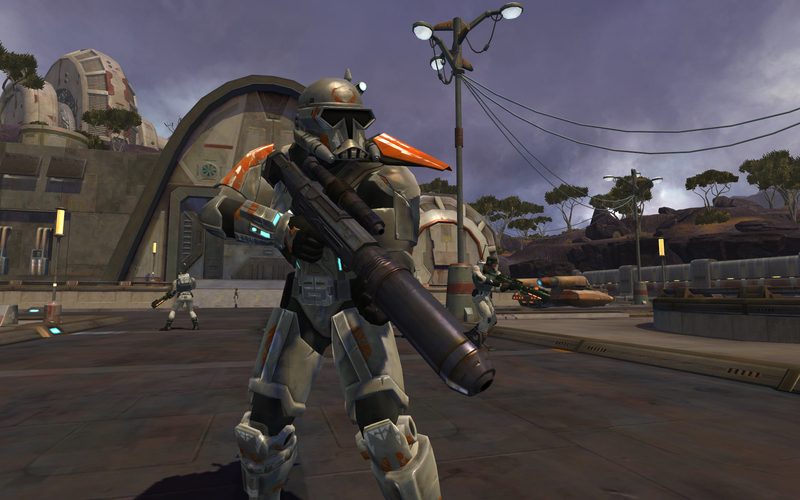 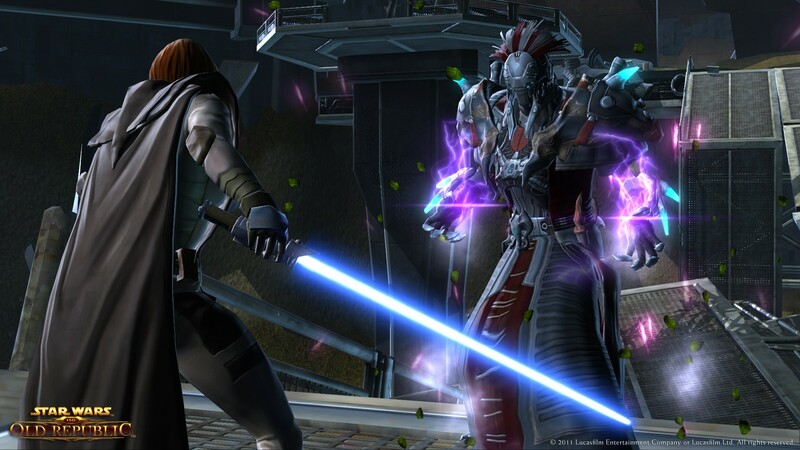 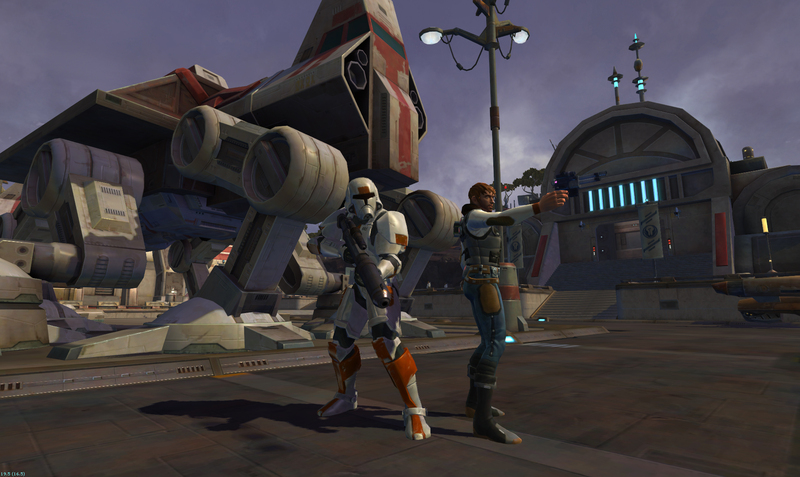 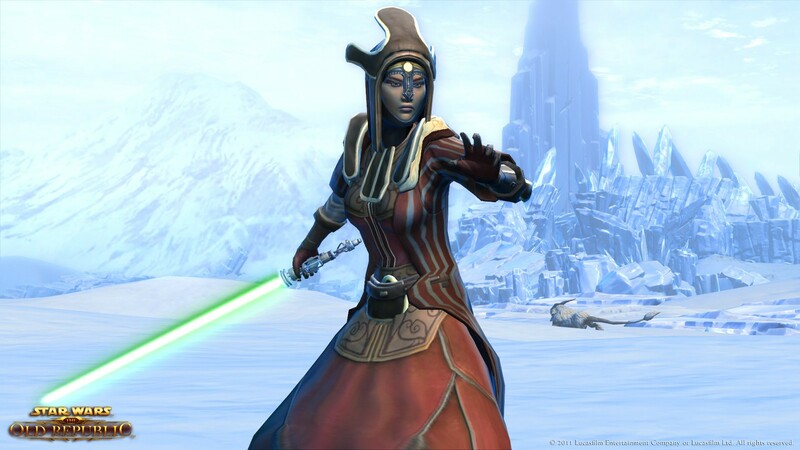 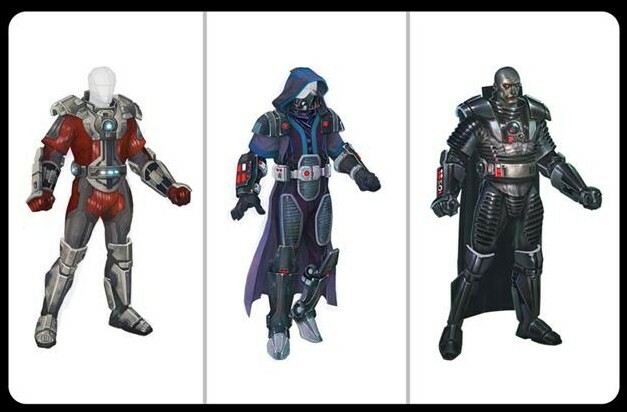 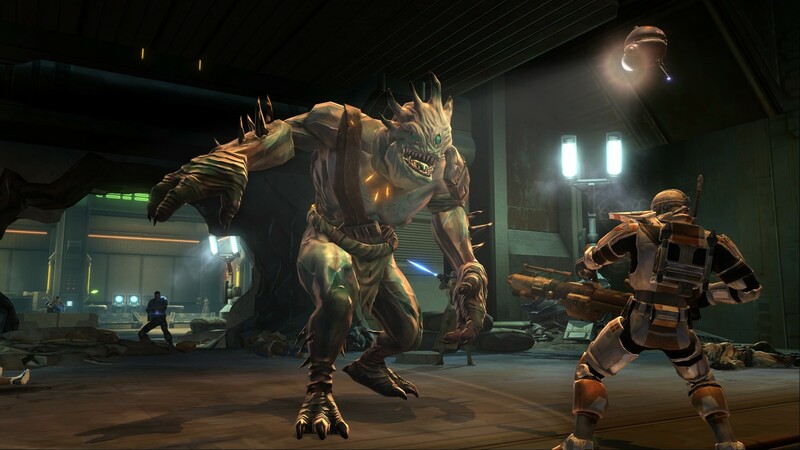 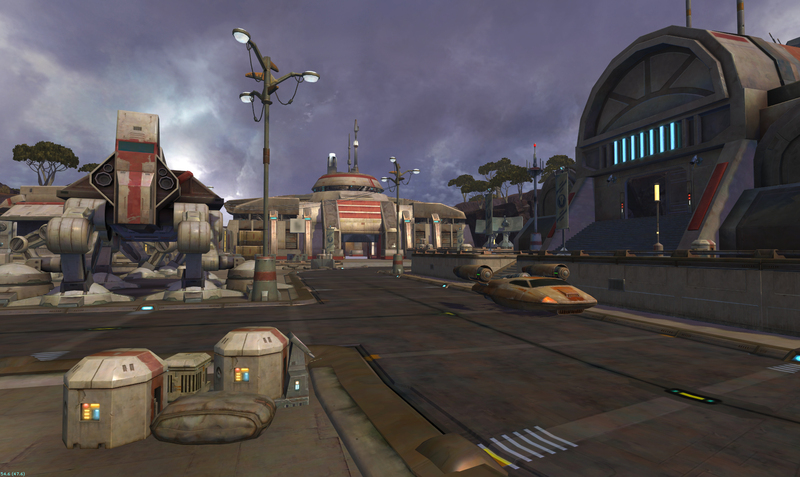 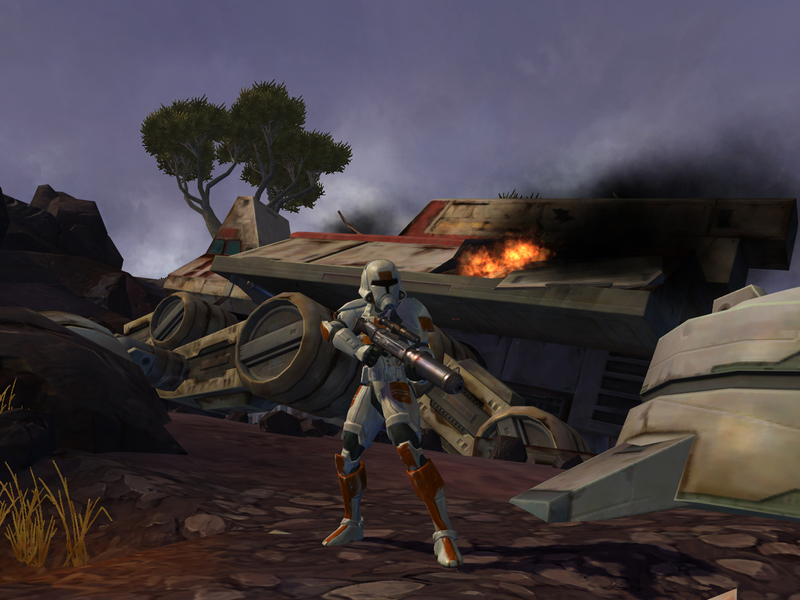 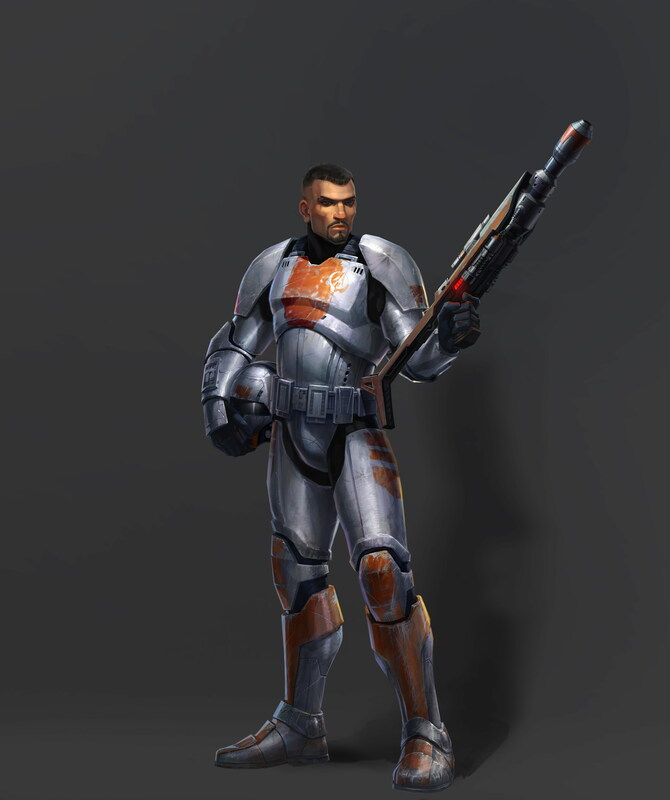 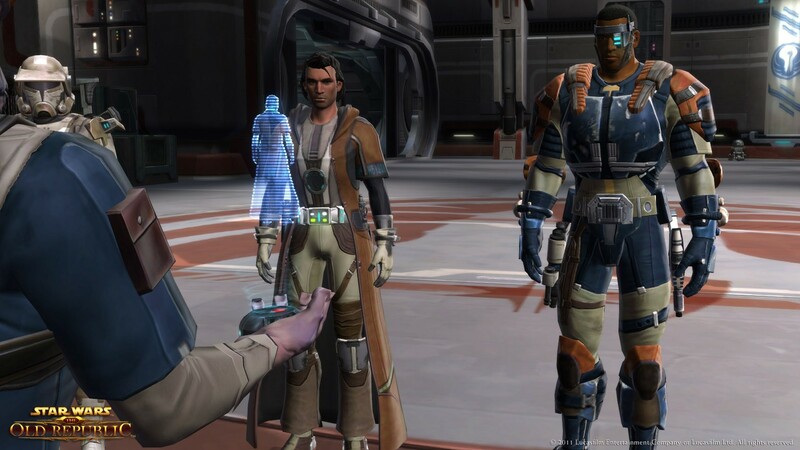 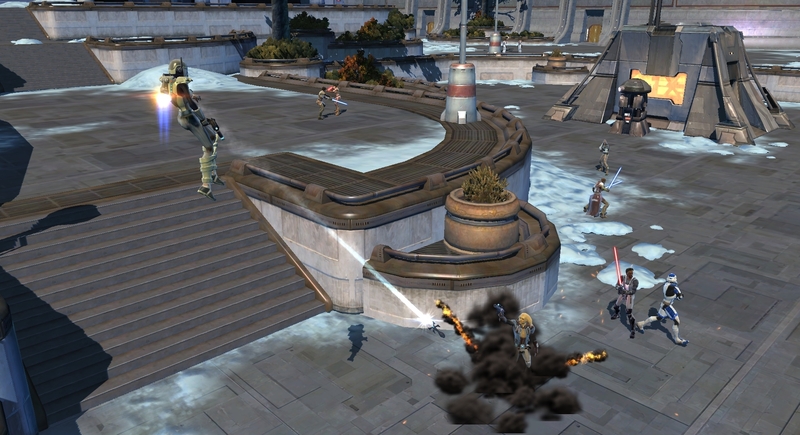 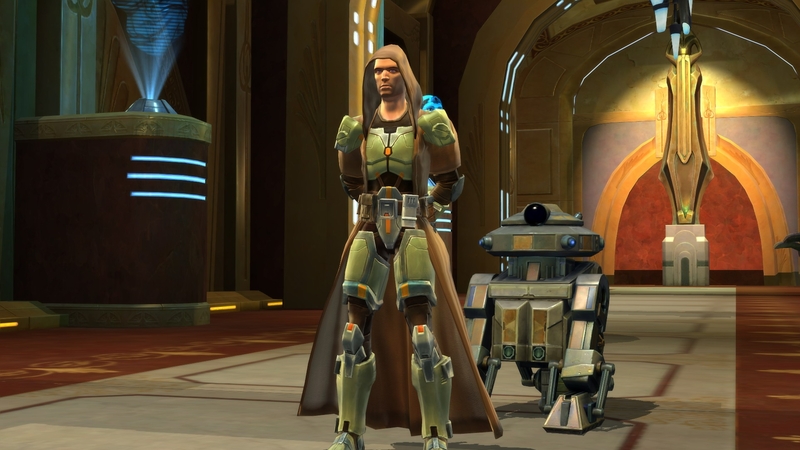 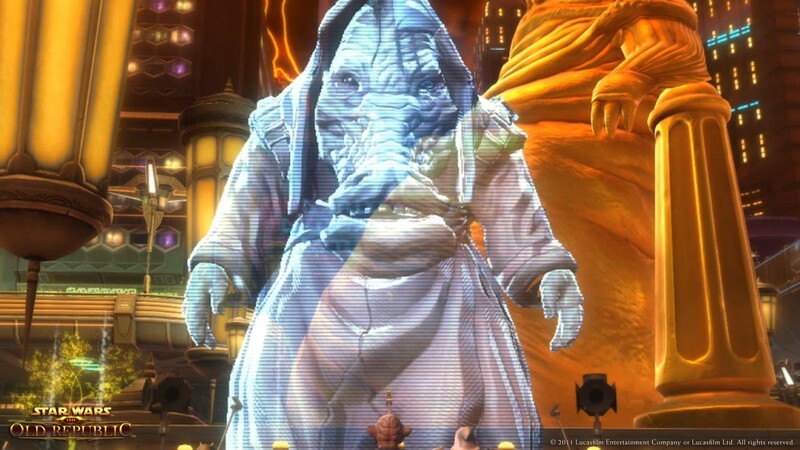 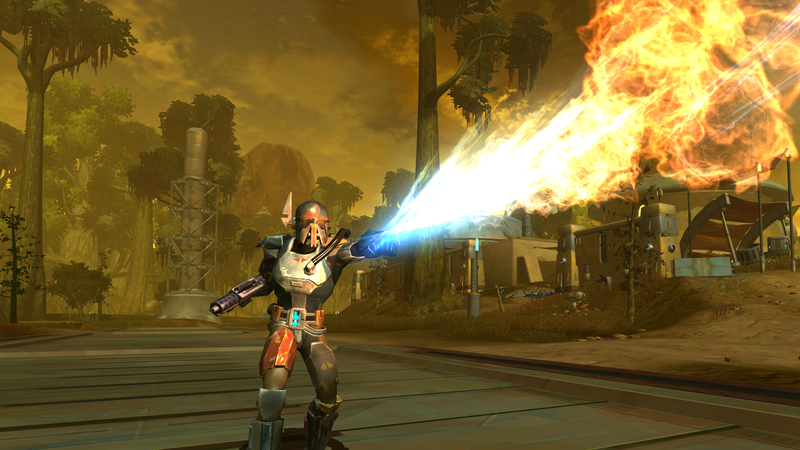 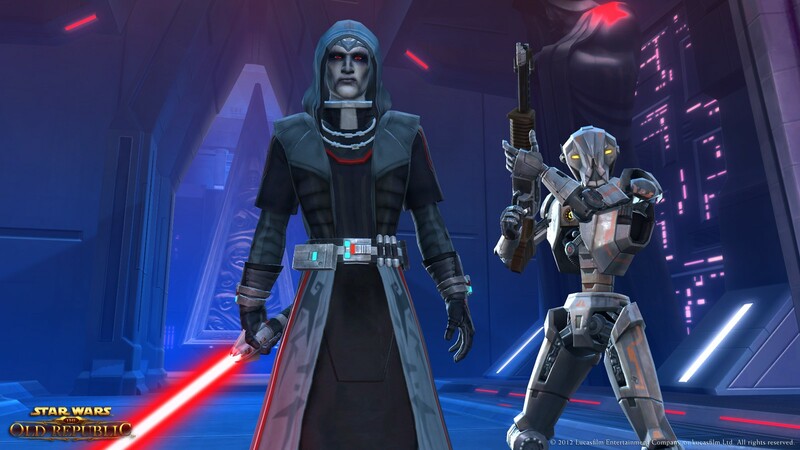 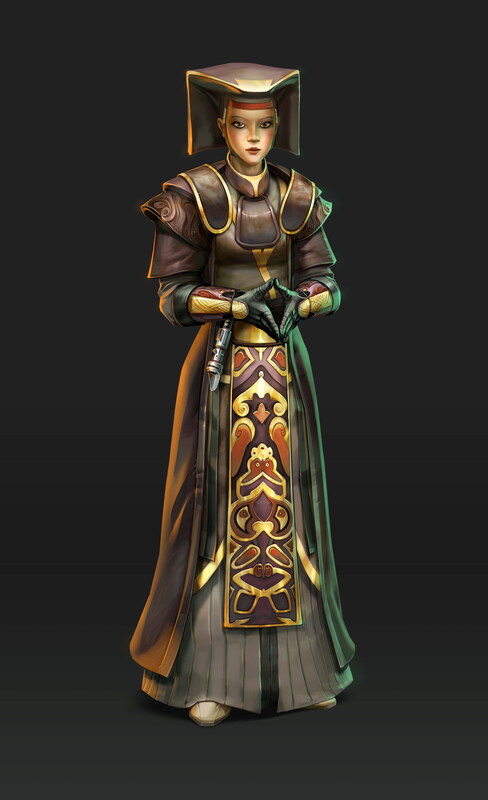 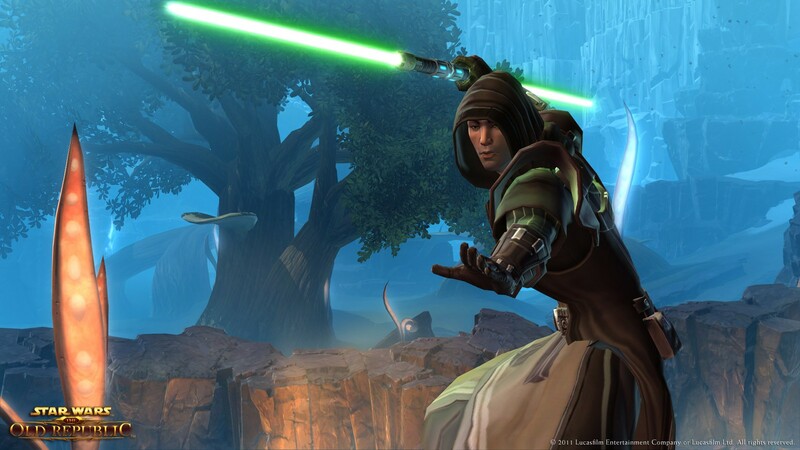 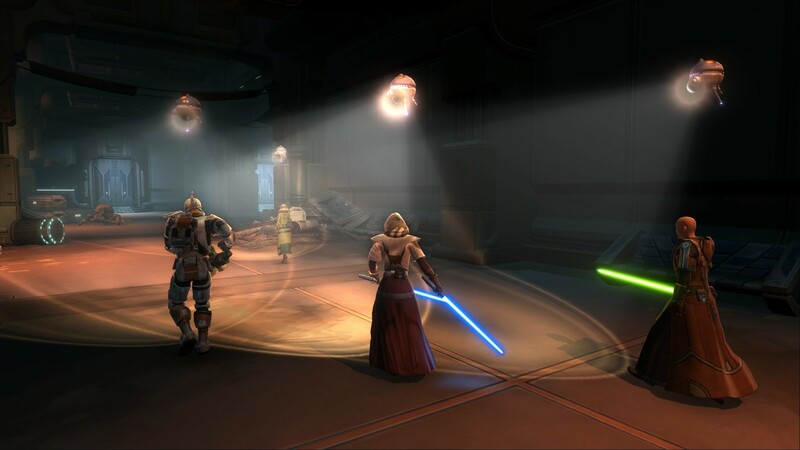 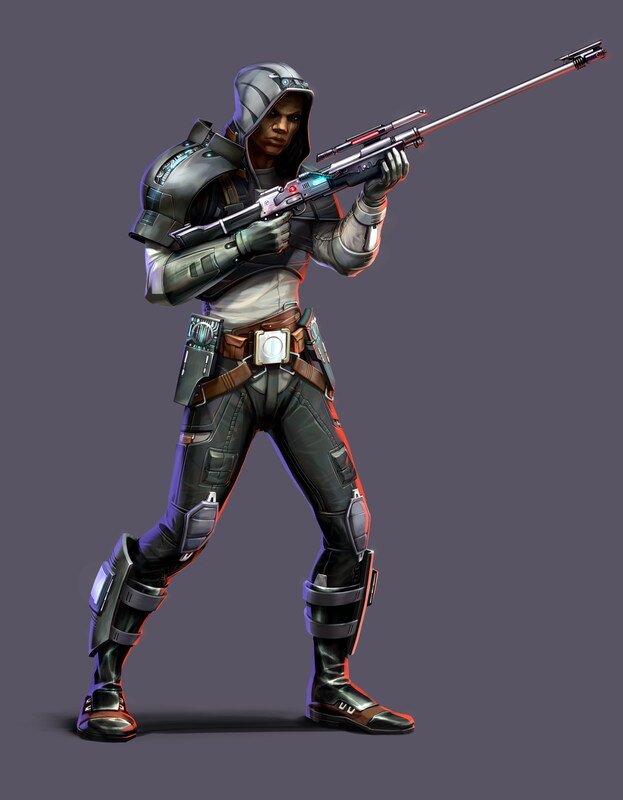 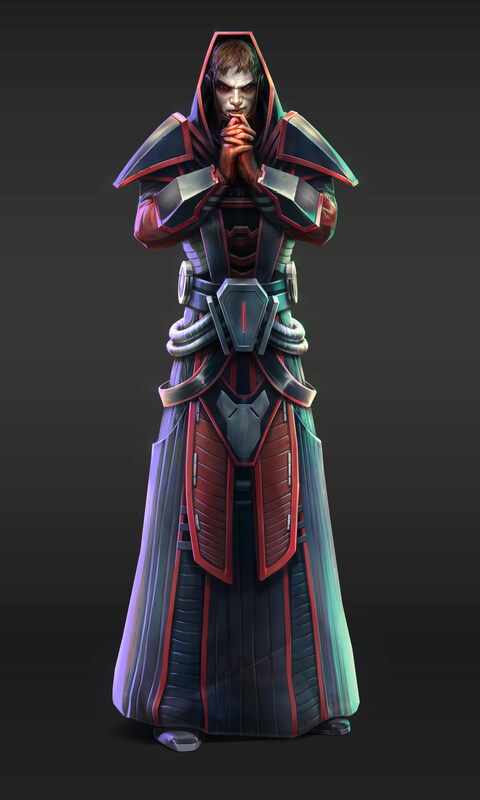 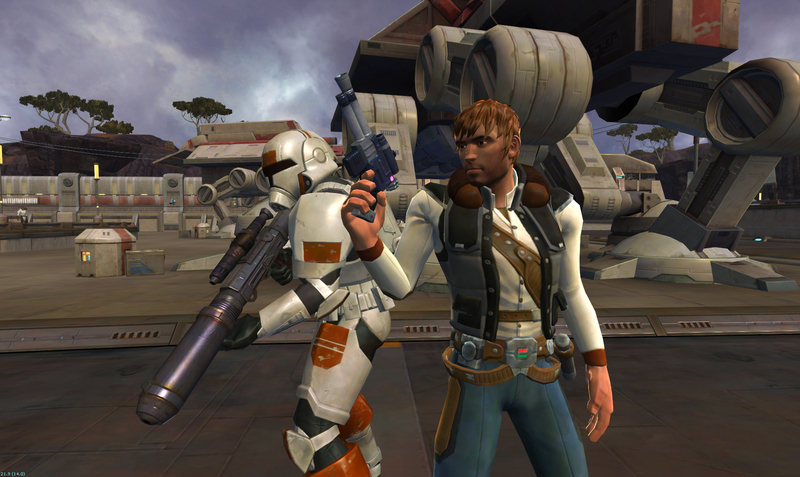 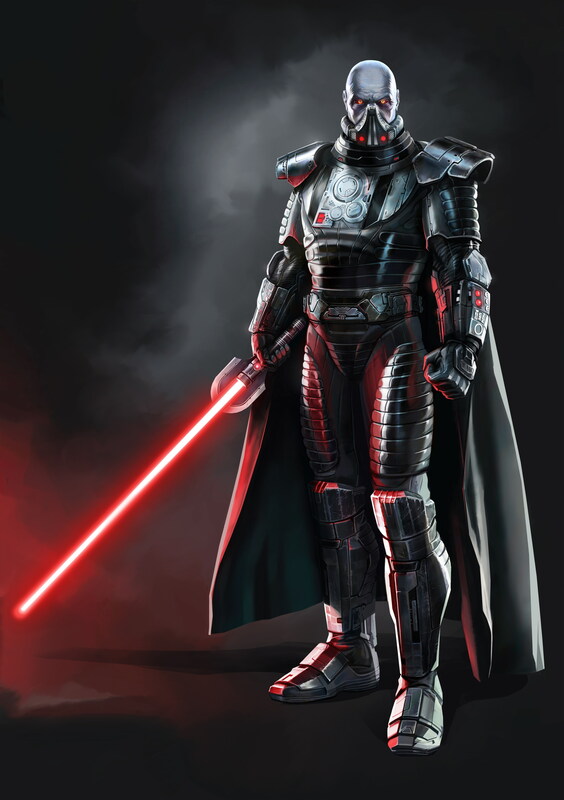 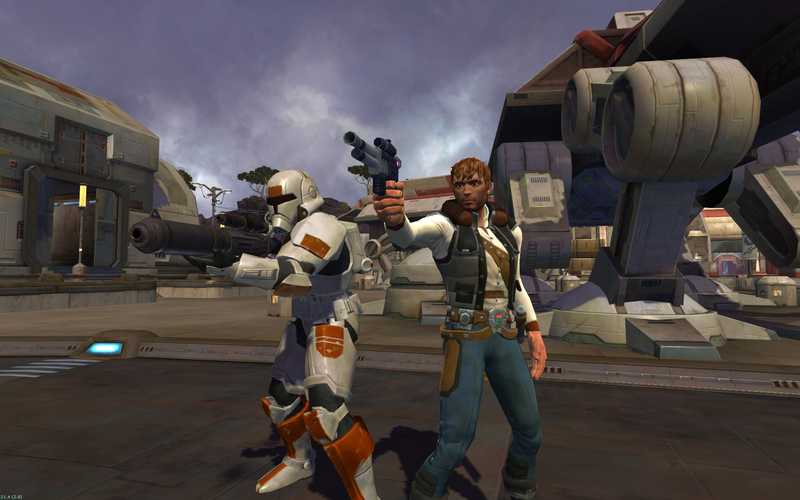 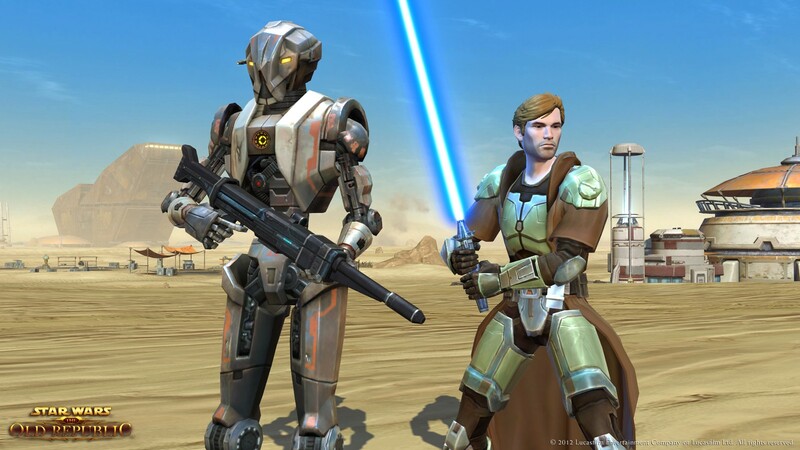 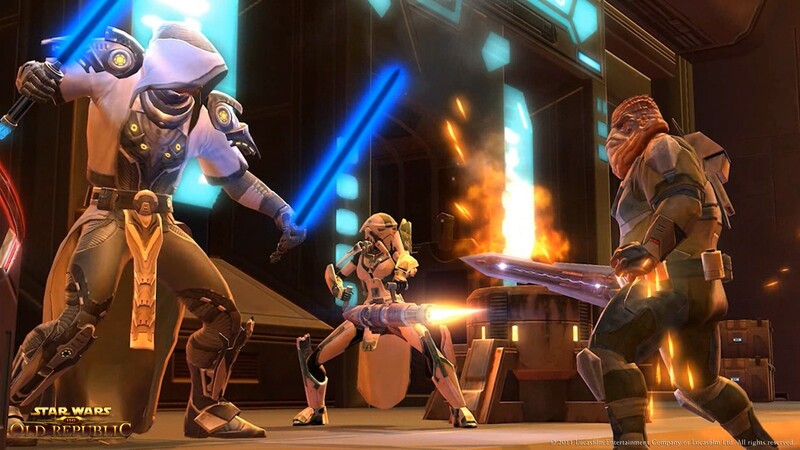 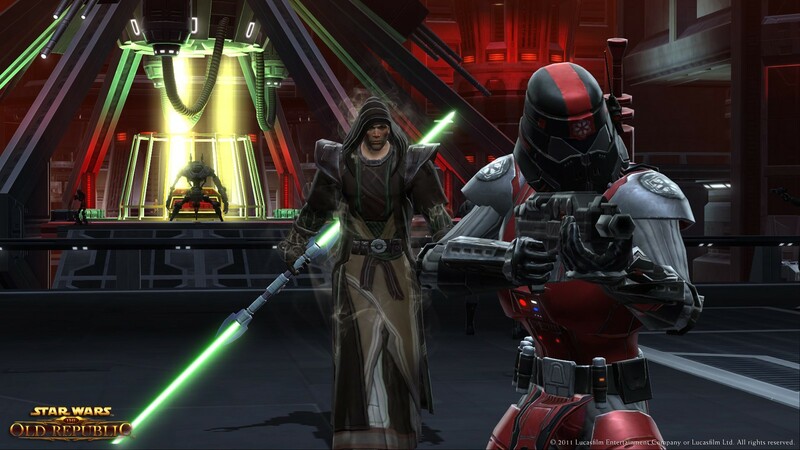 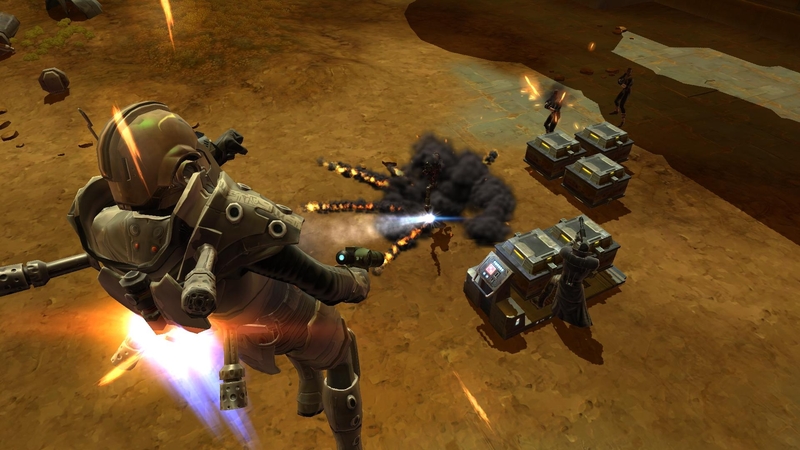 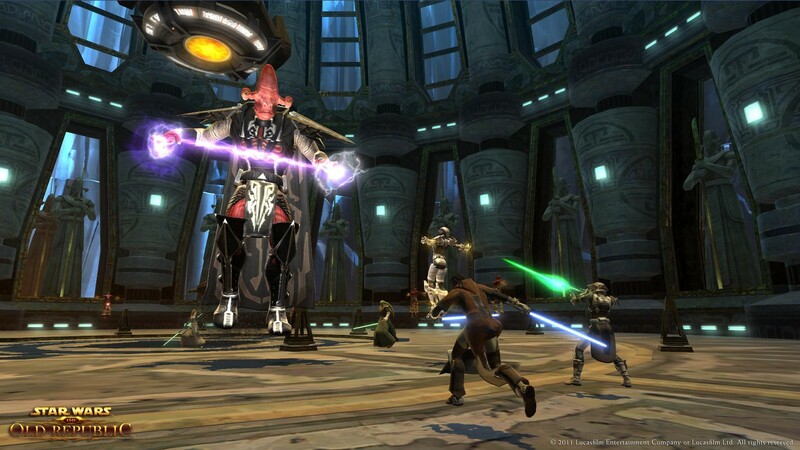 As the The Old Republic transitions into free-to-play, Bioware wants to retain its playerbase with incentives. 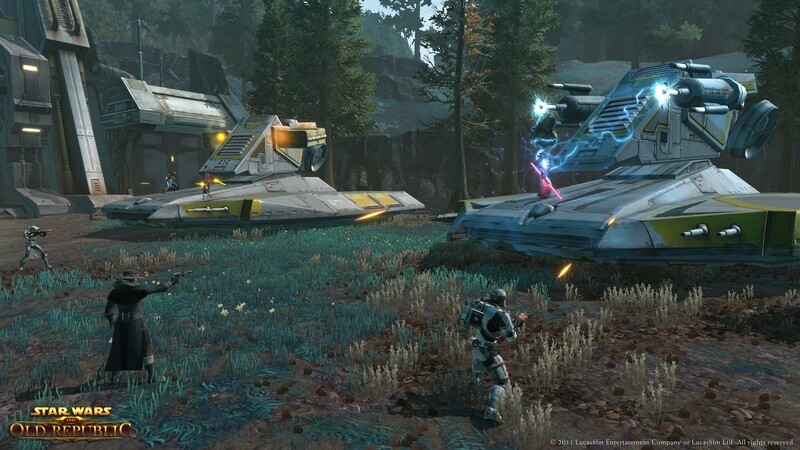 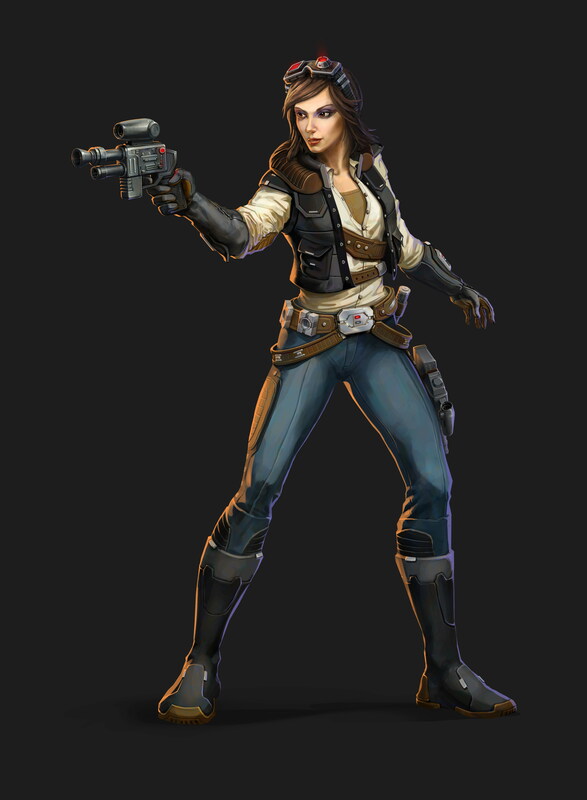 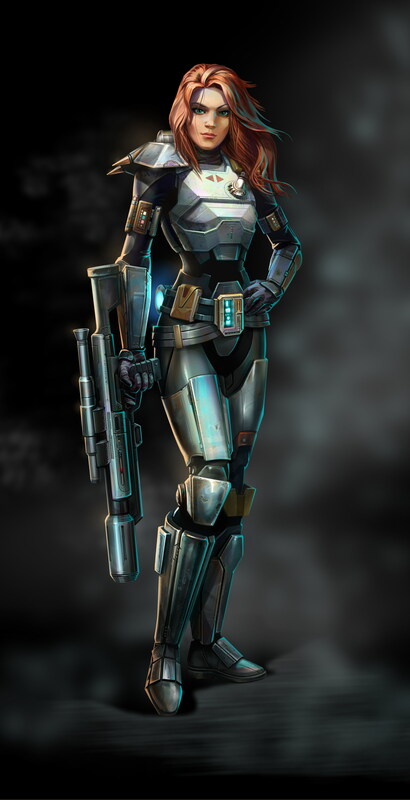 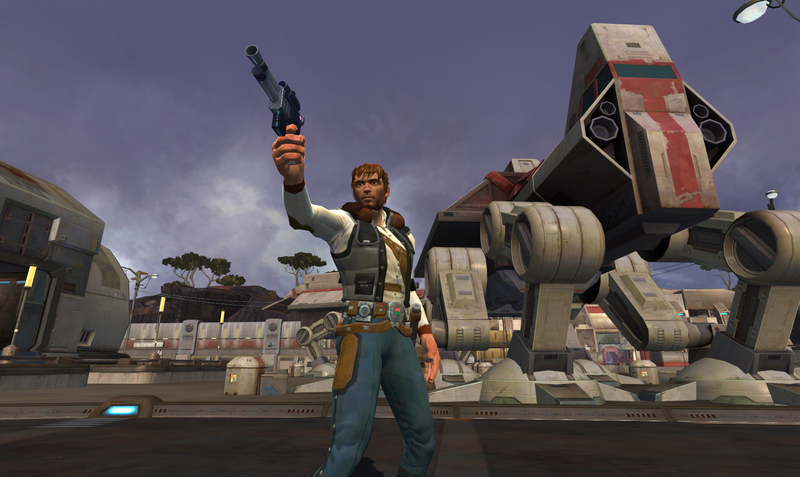 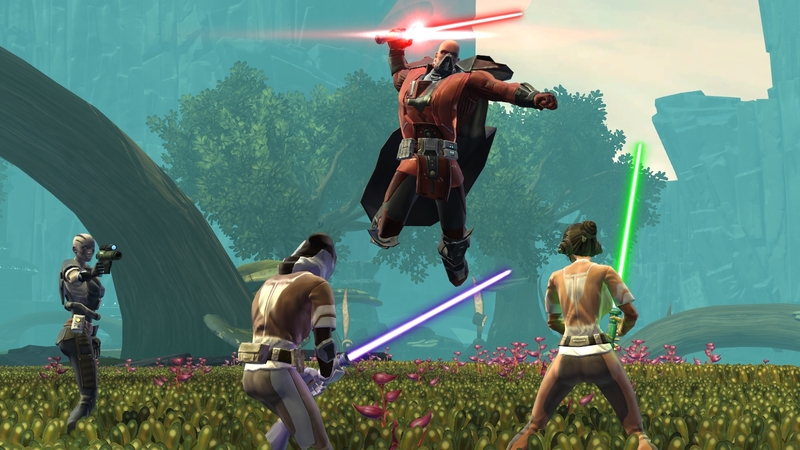 But will take on broader role following SWTOR F2P switch. 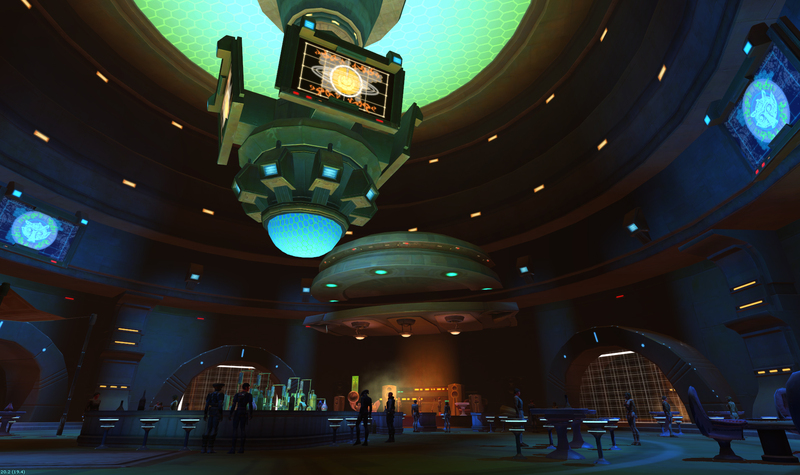 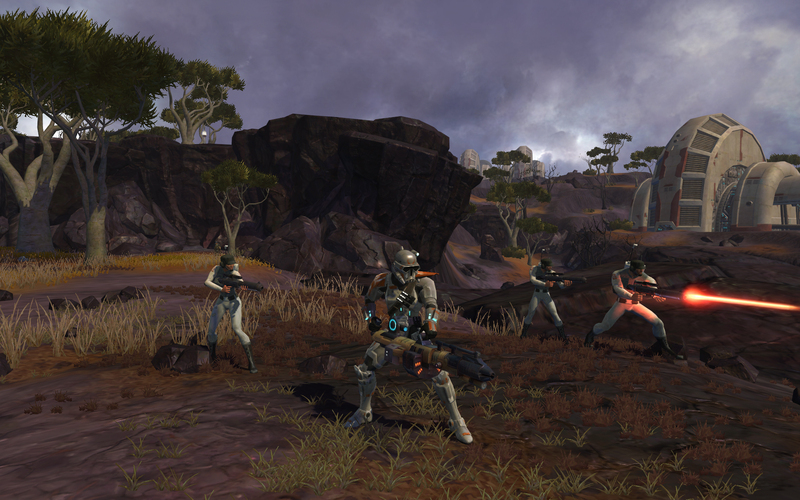 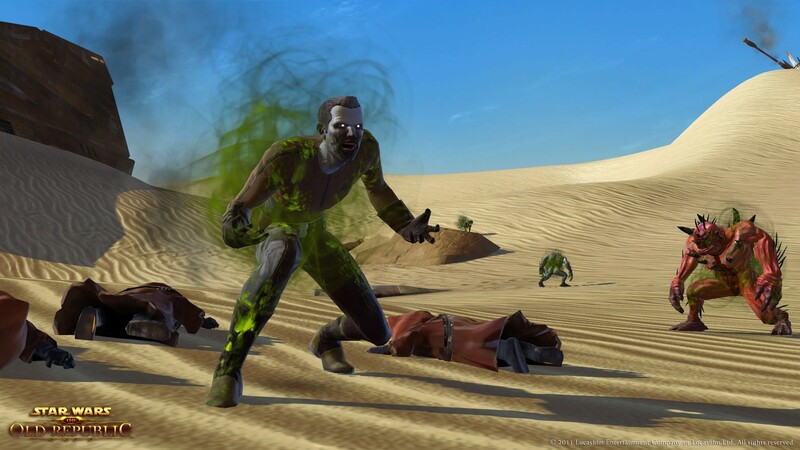 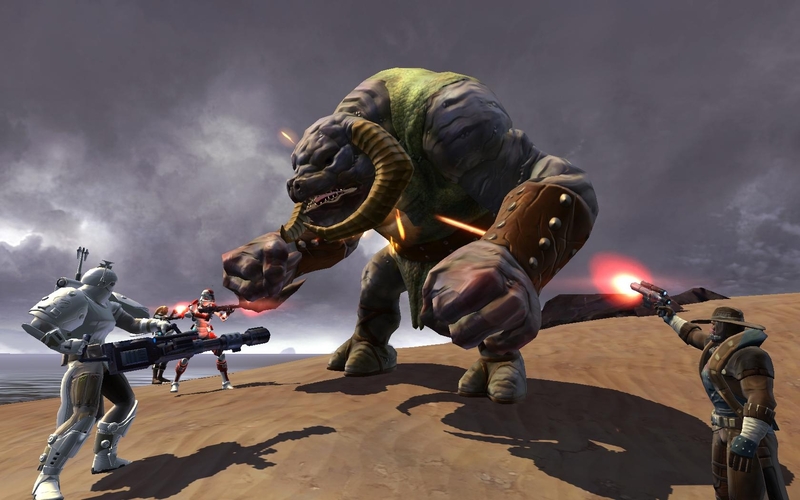 Bioware's struggling MMO gets a facelift. 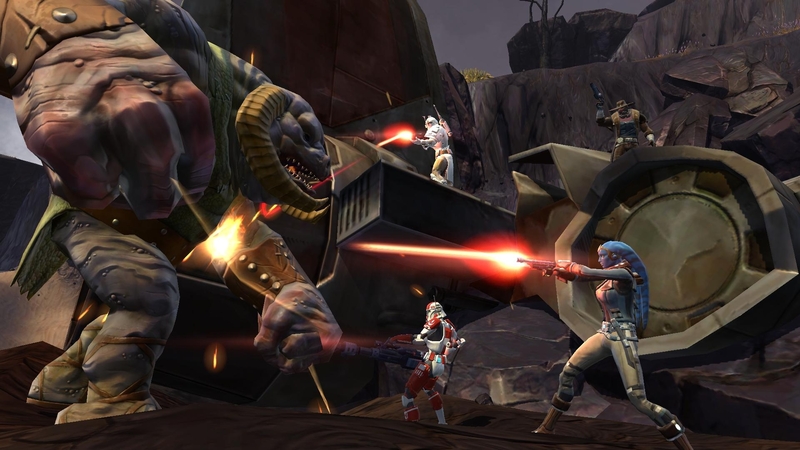 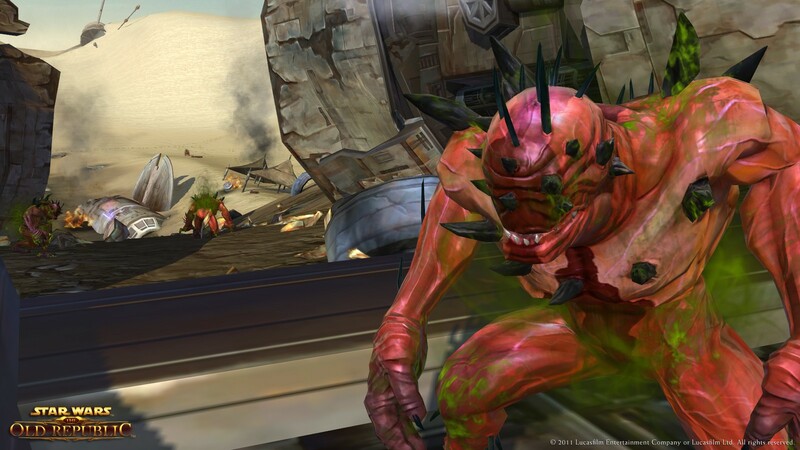 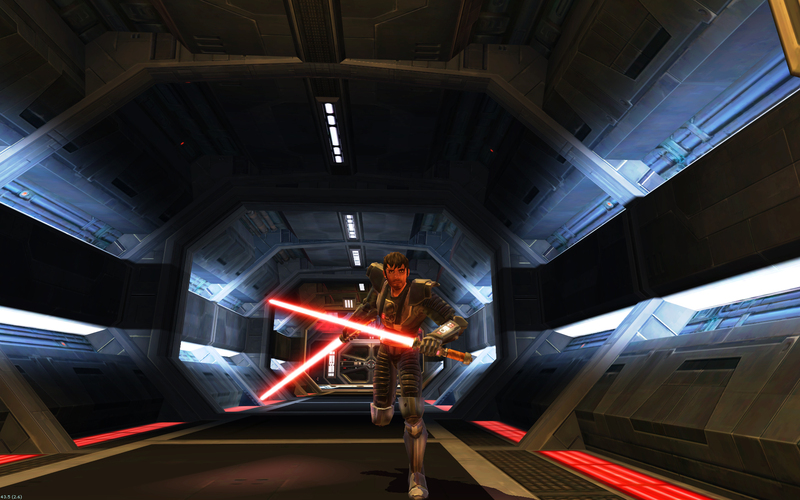 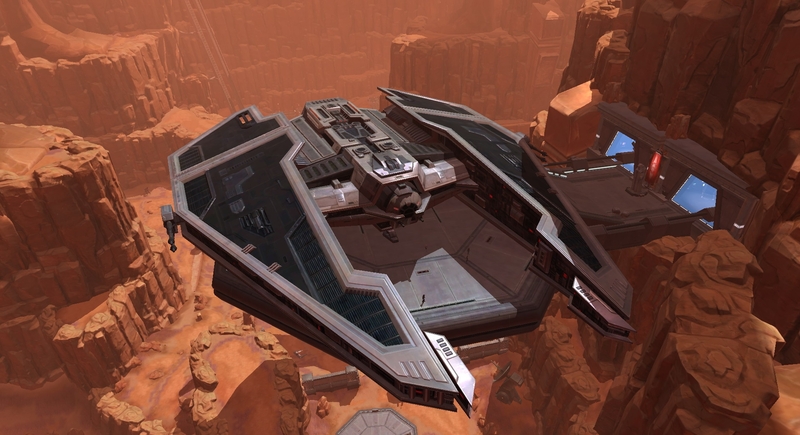 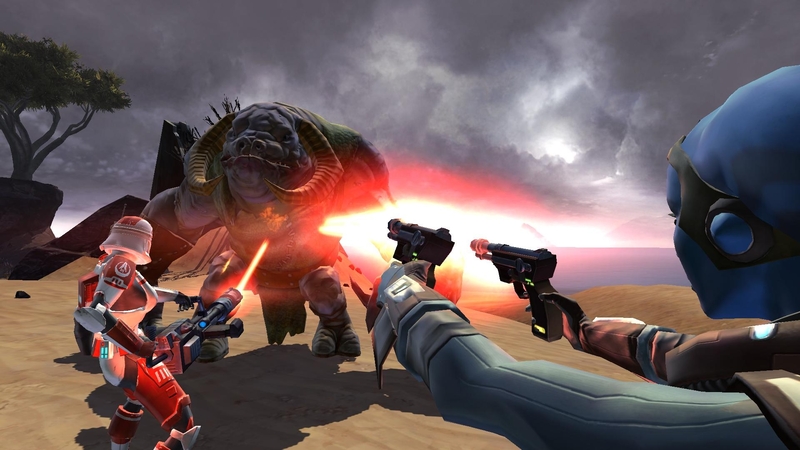 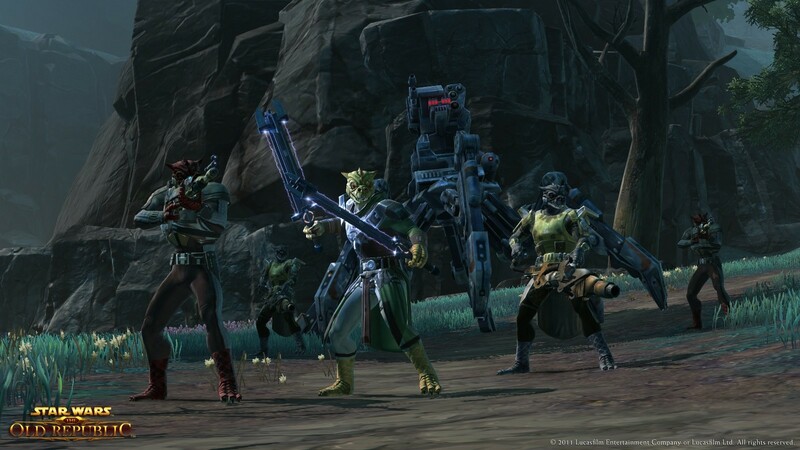 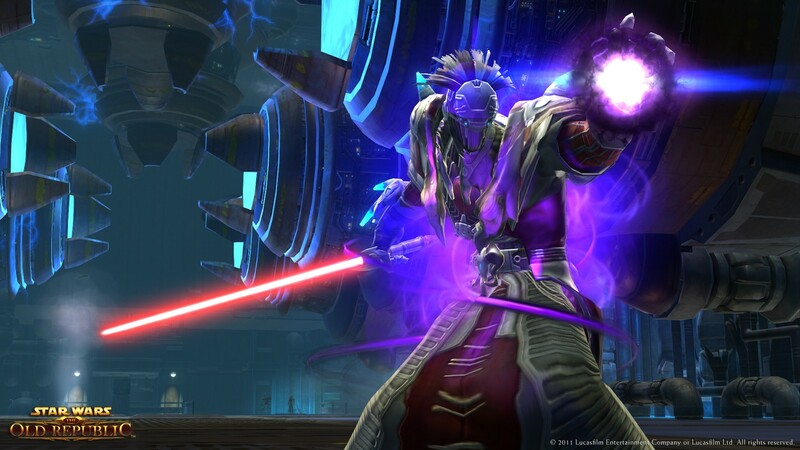 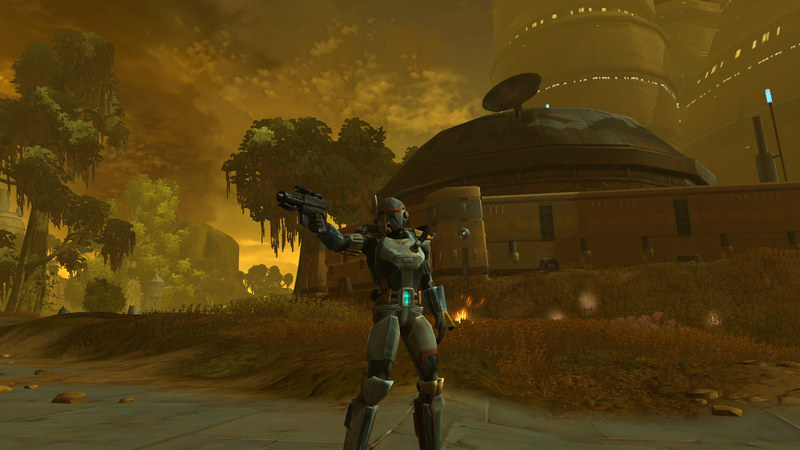 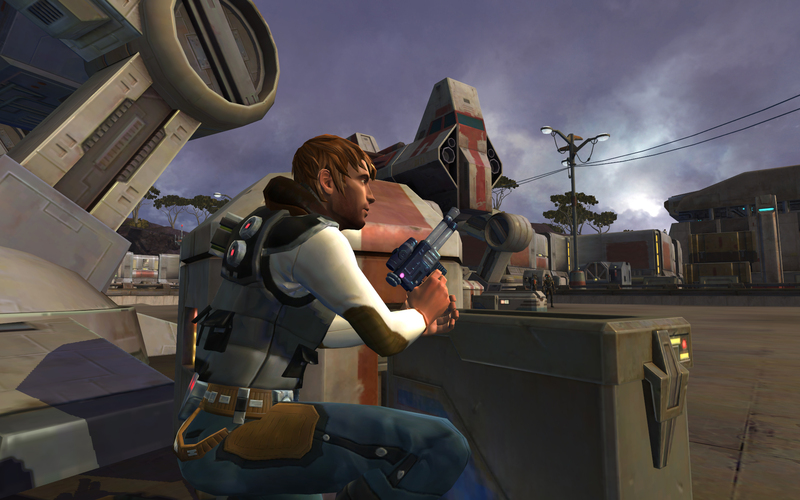 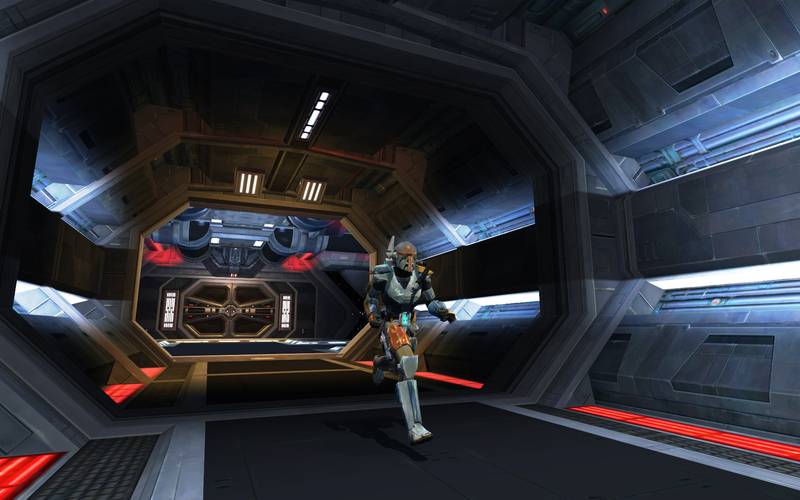 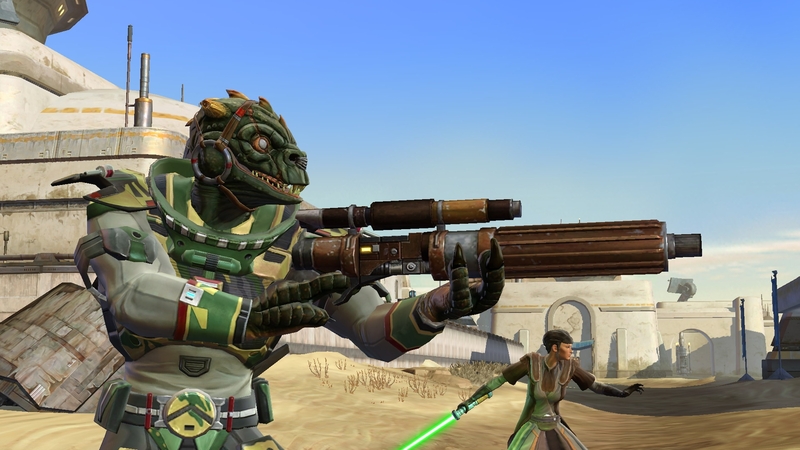 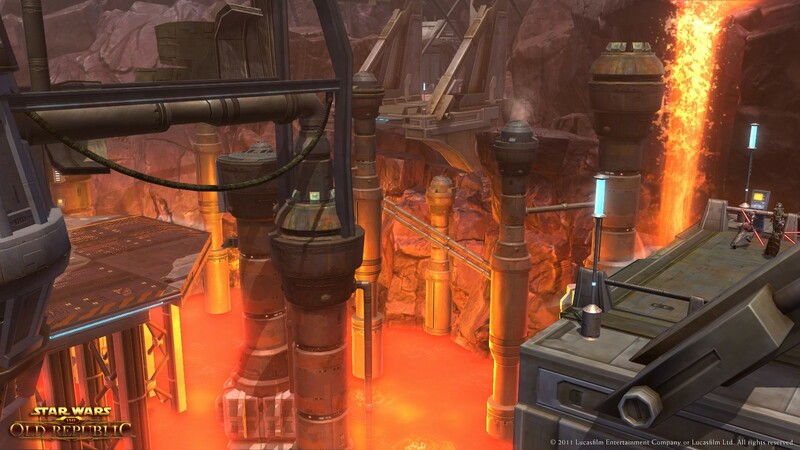 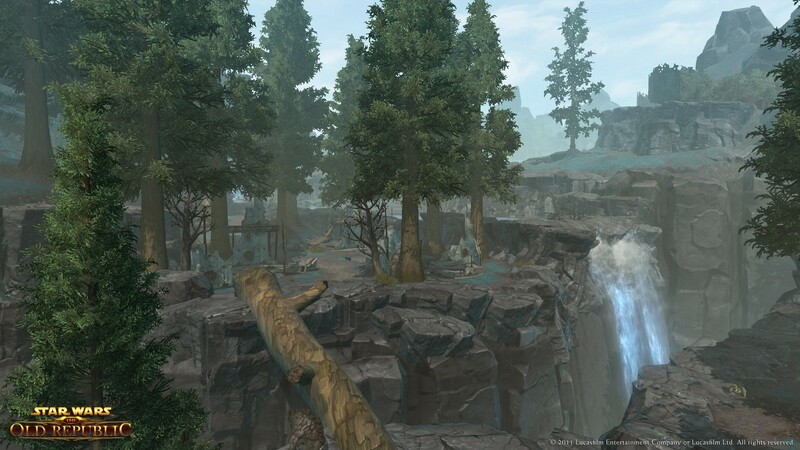 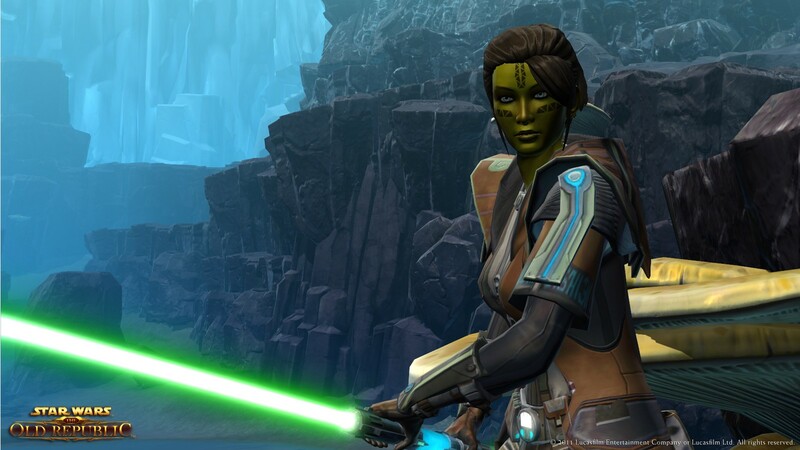 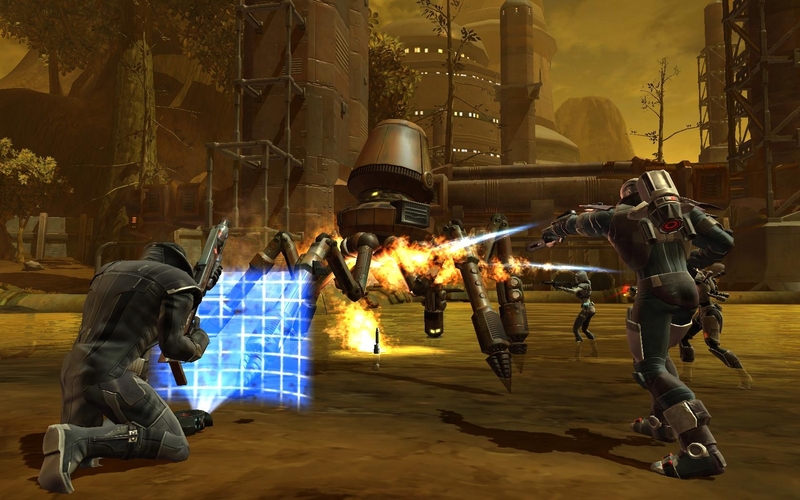 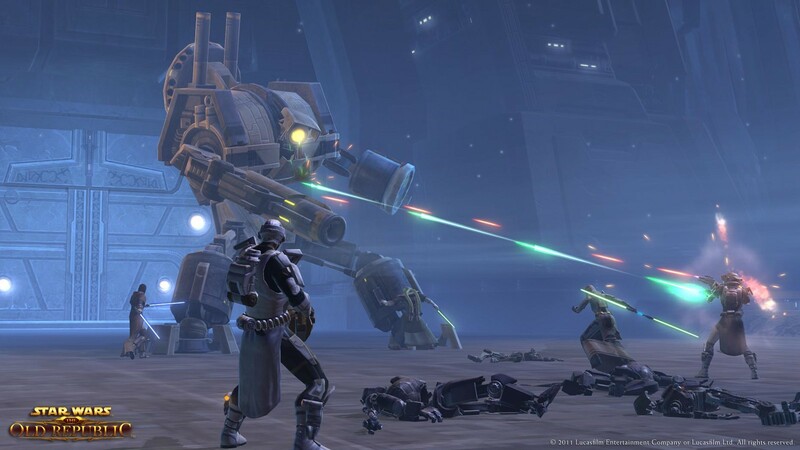 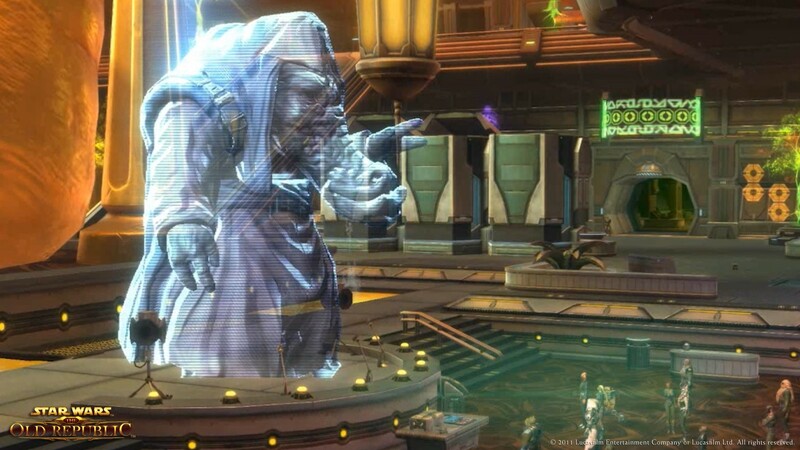 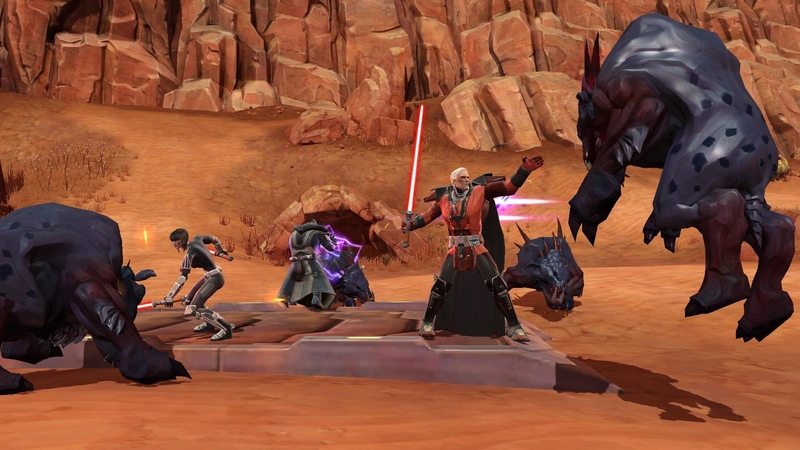 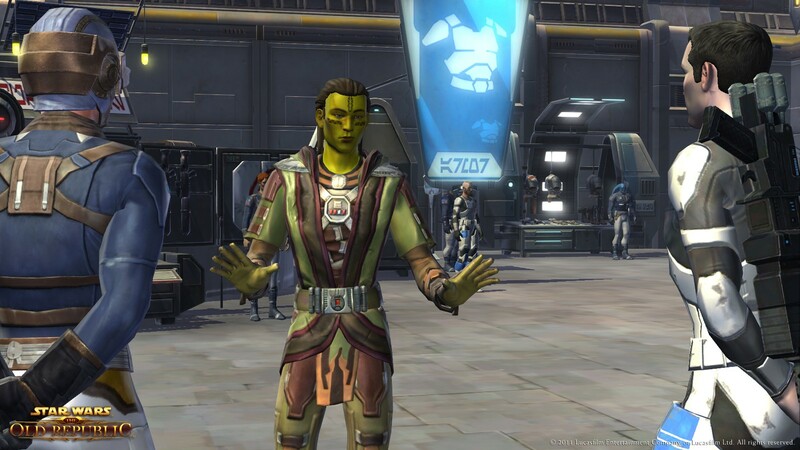 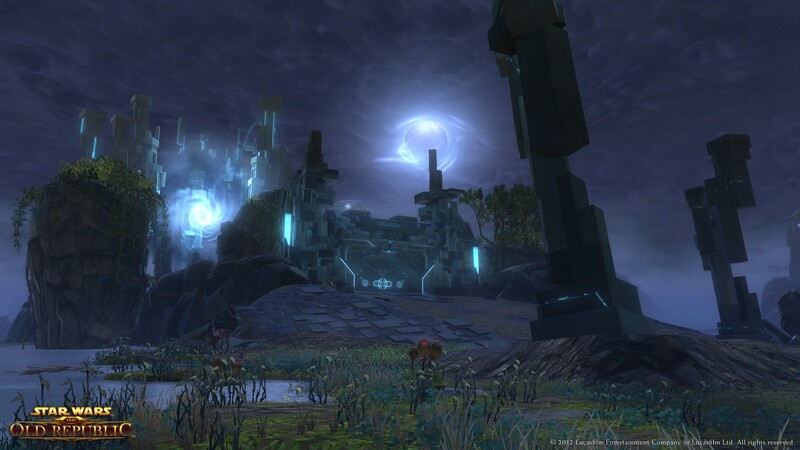 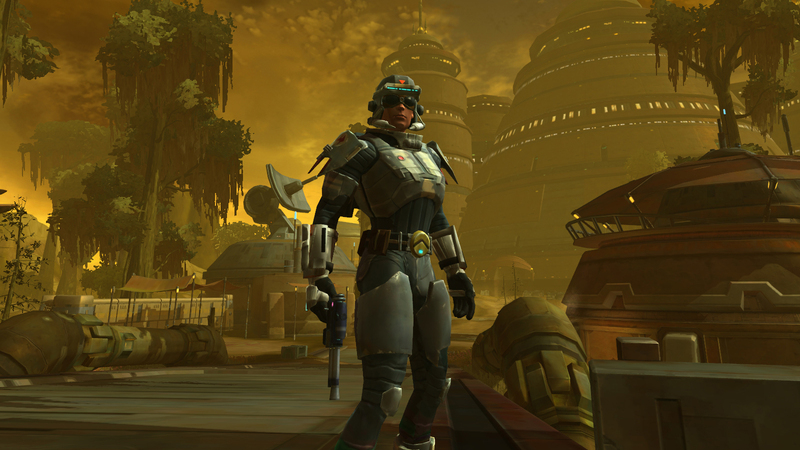 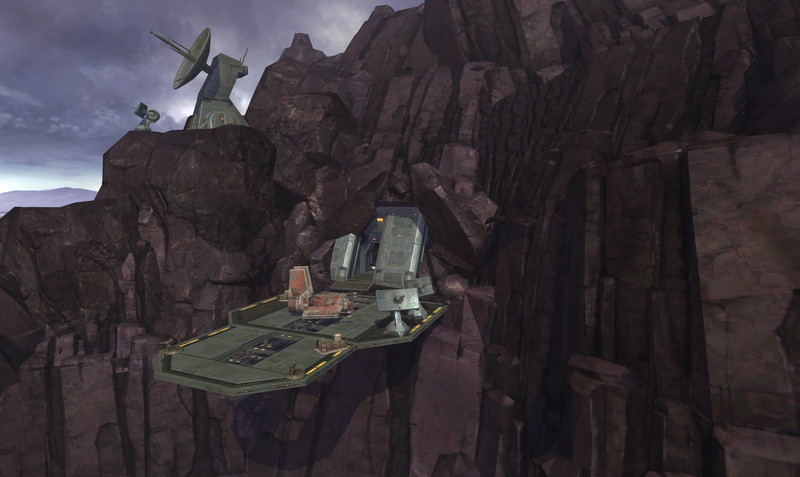 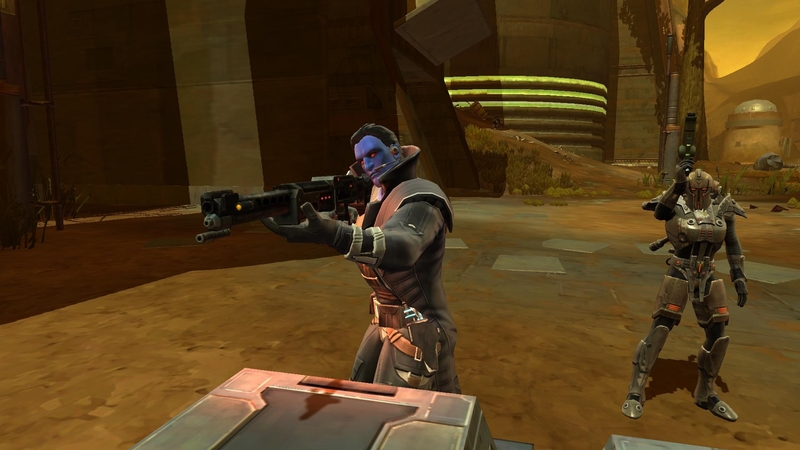 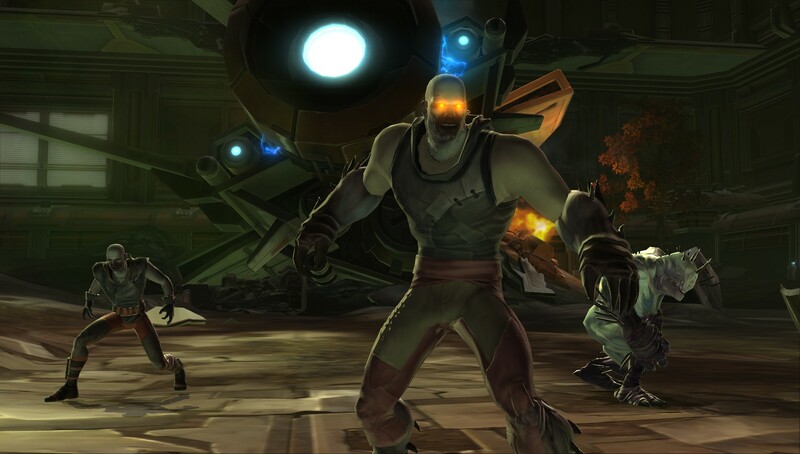 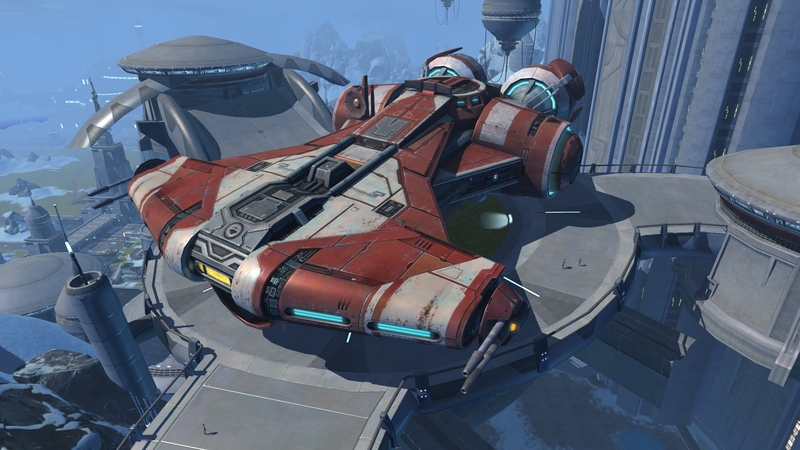 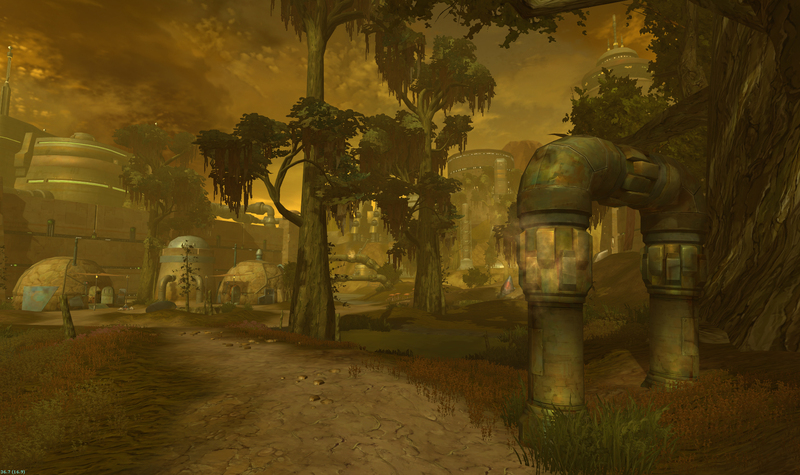 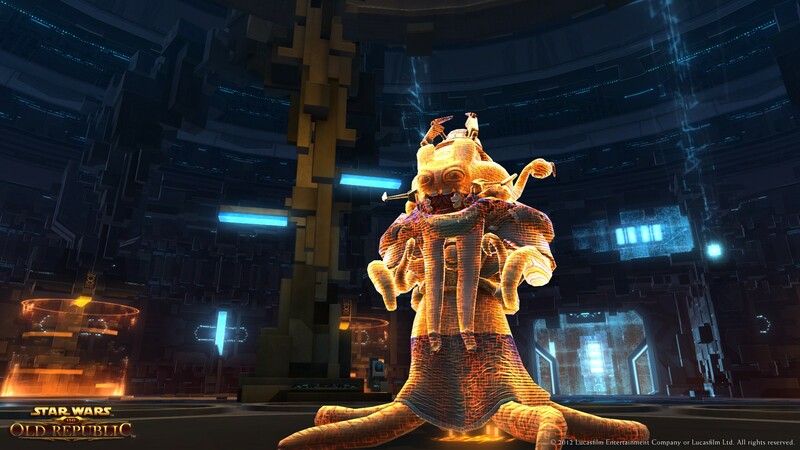 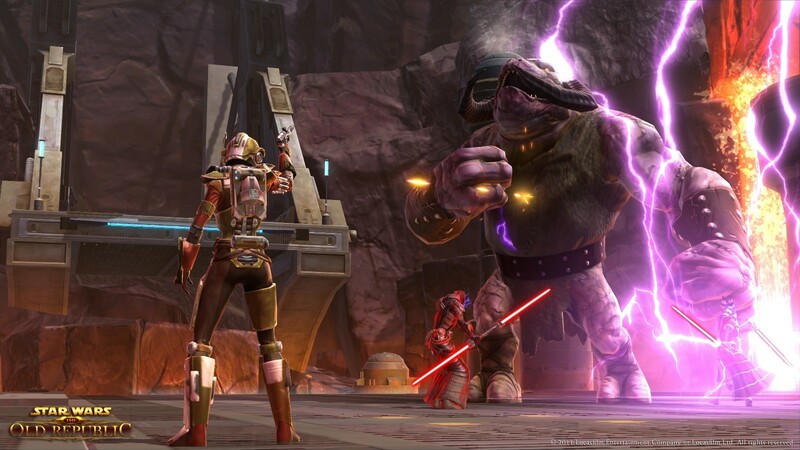 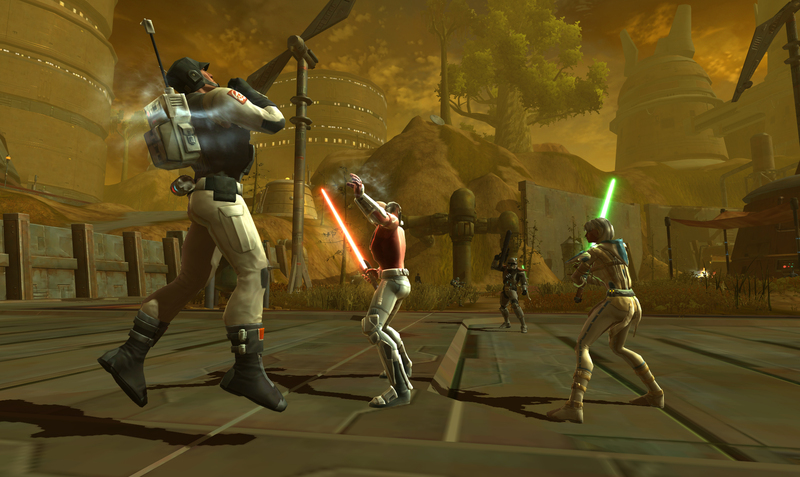 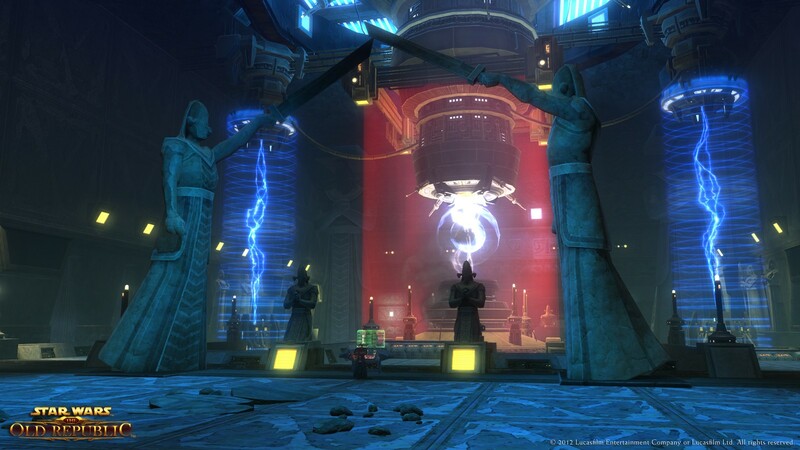 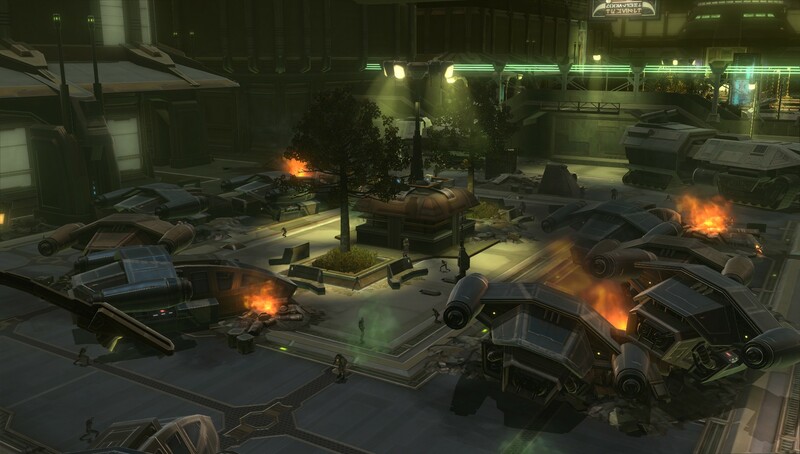 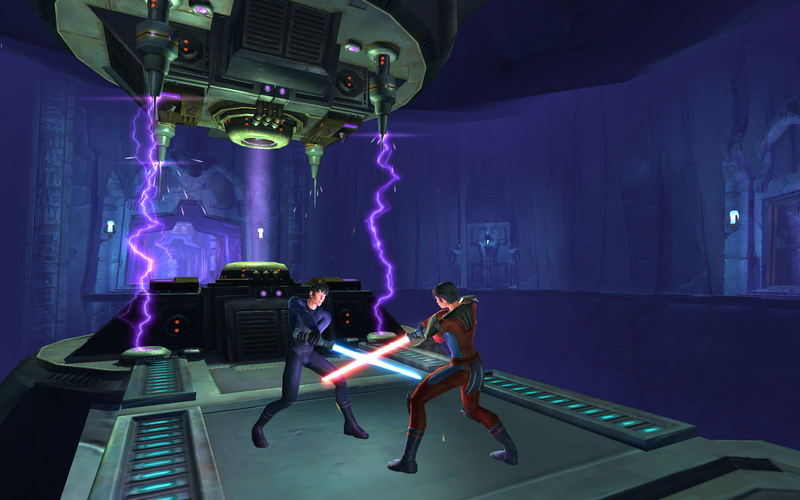 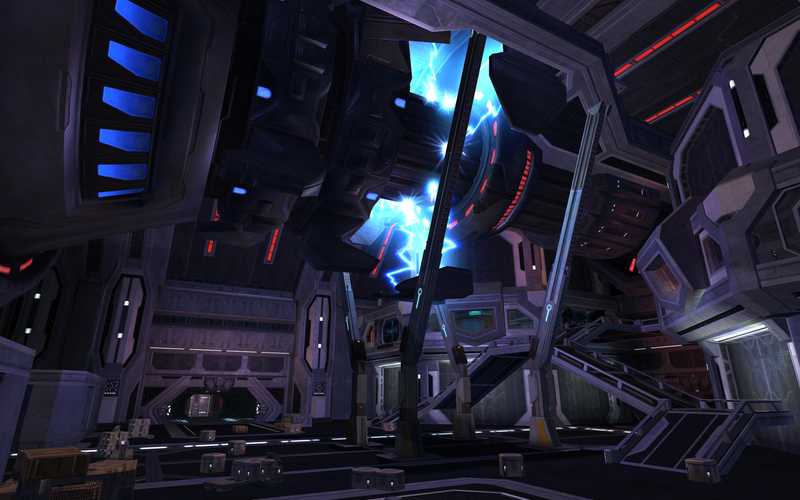 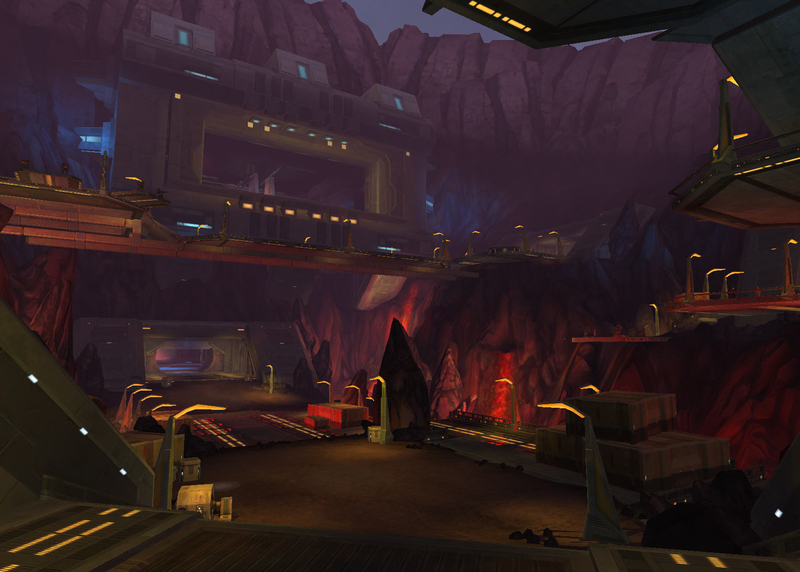 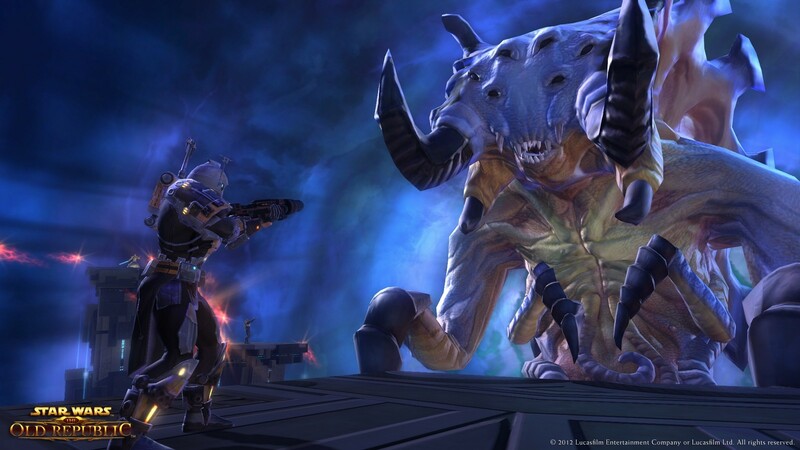 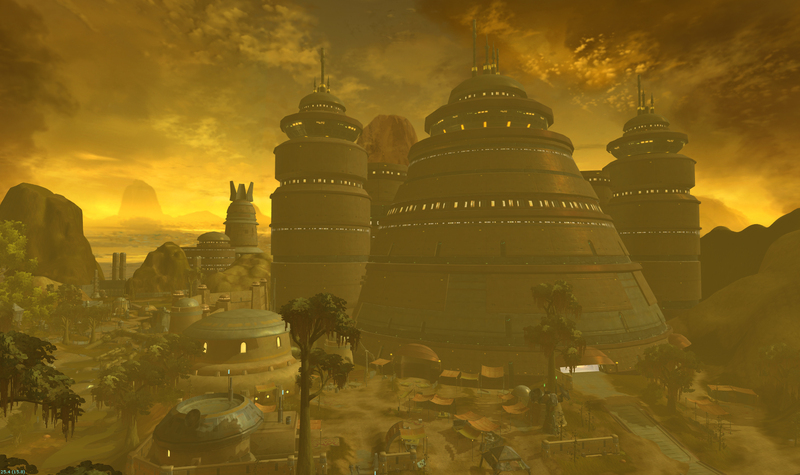 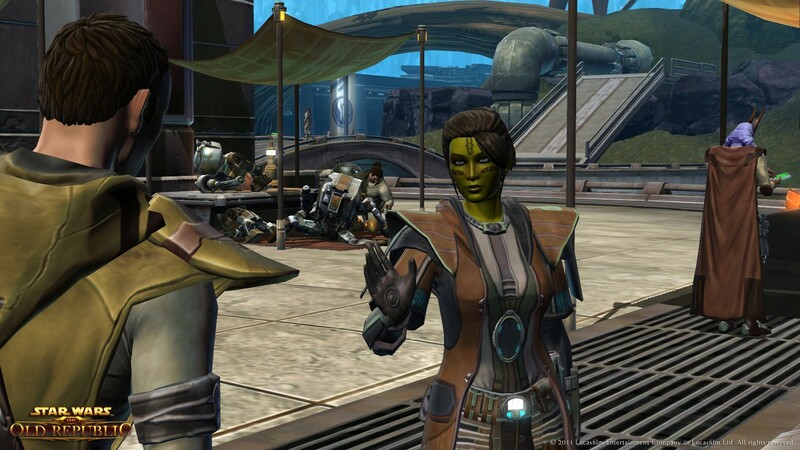 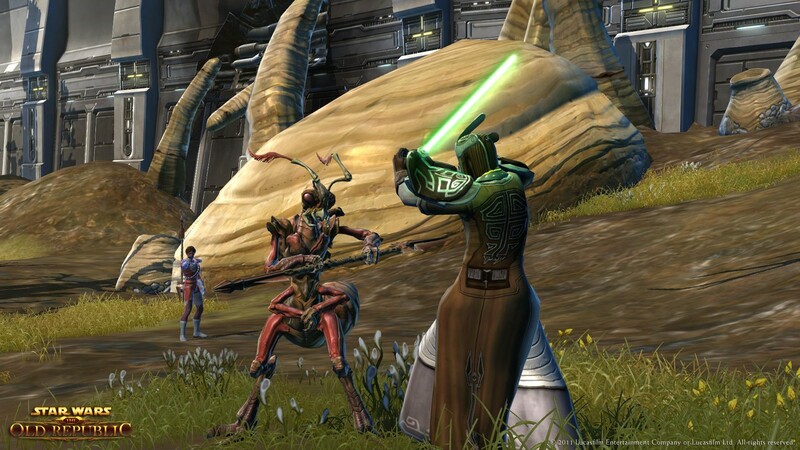 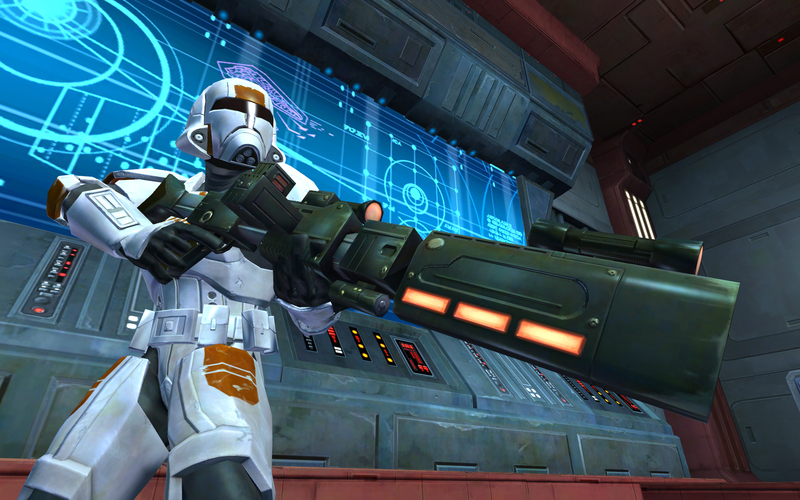 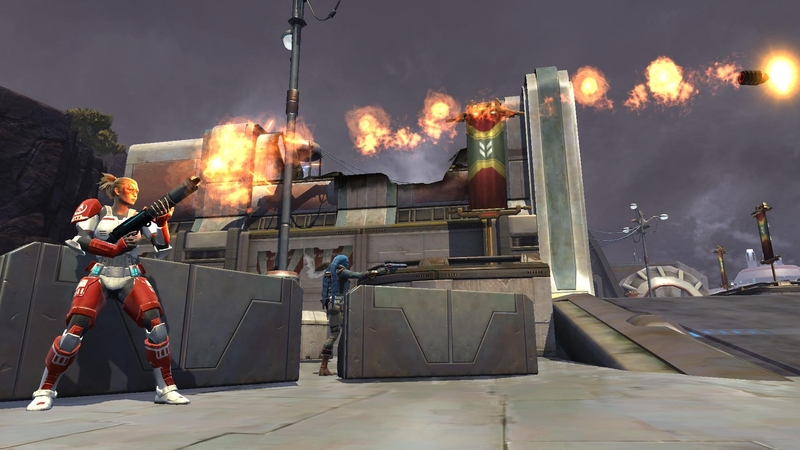 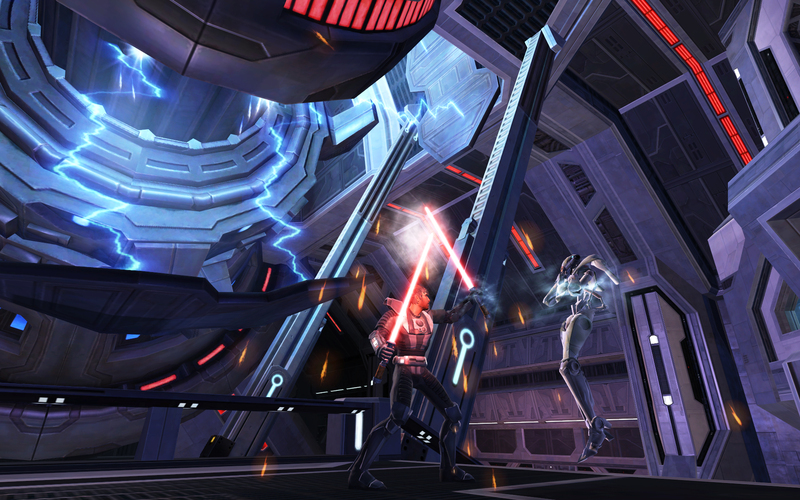 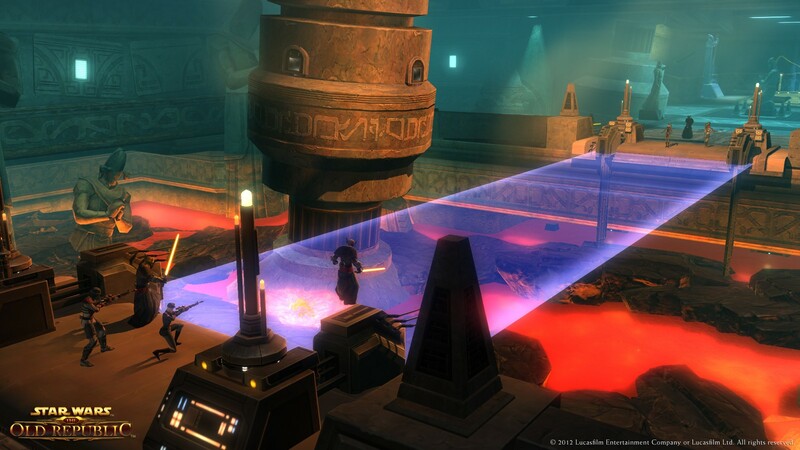 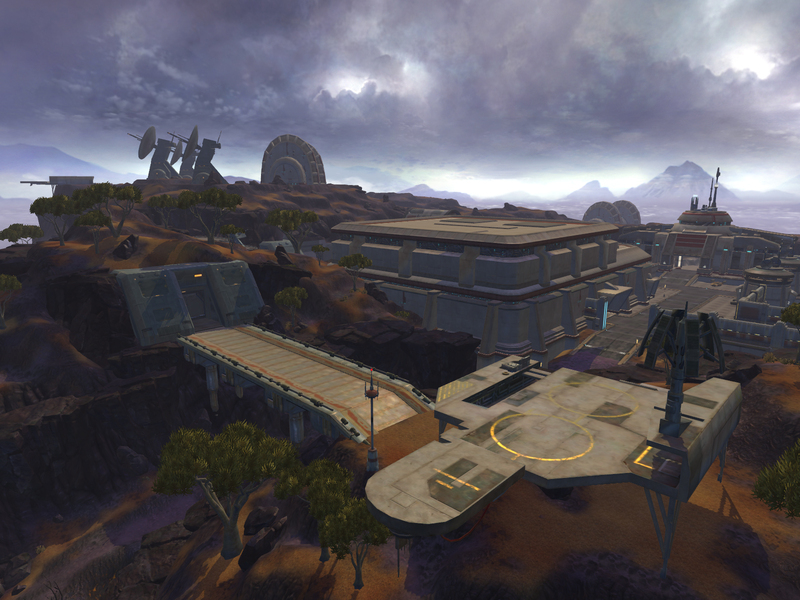 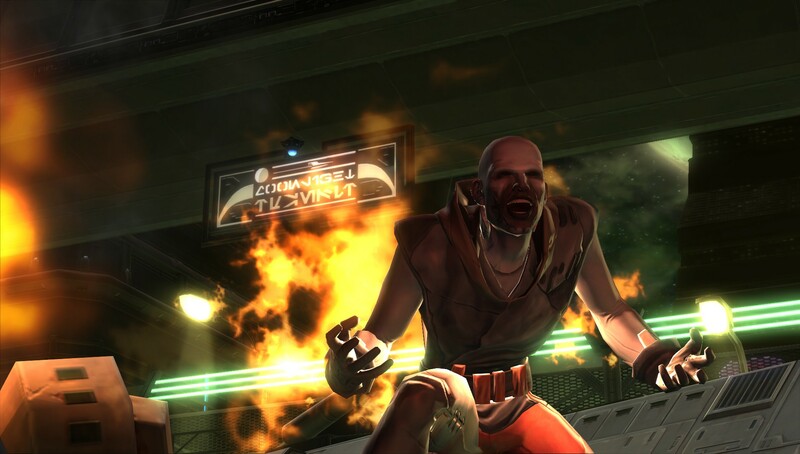 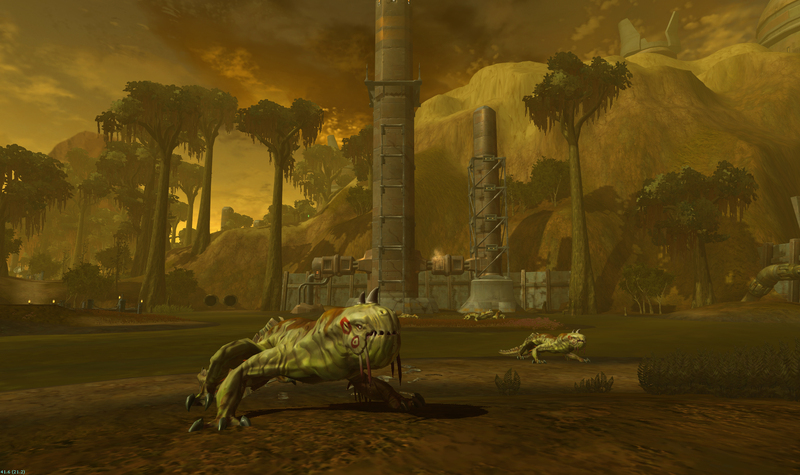 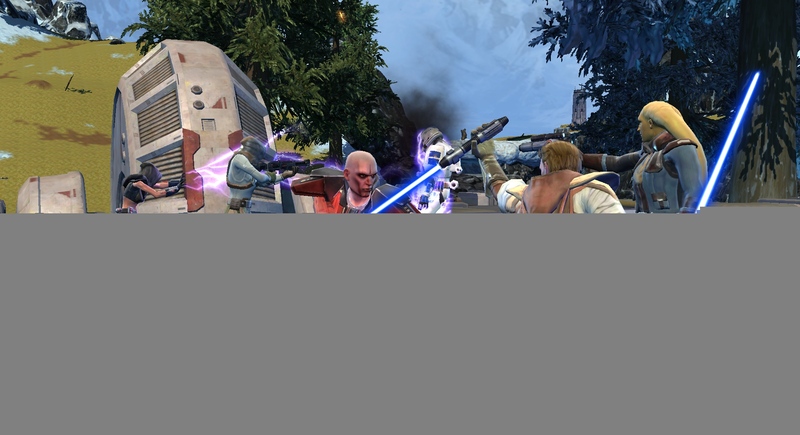 A new free trial announced for SWTOR. 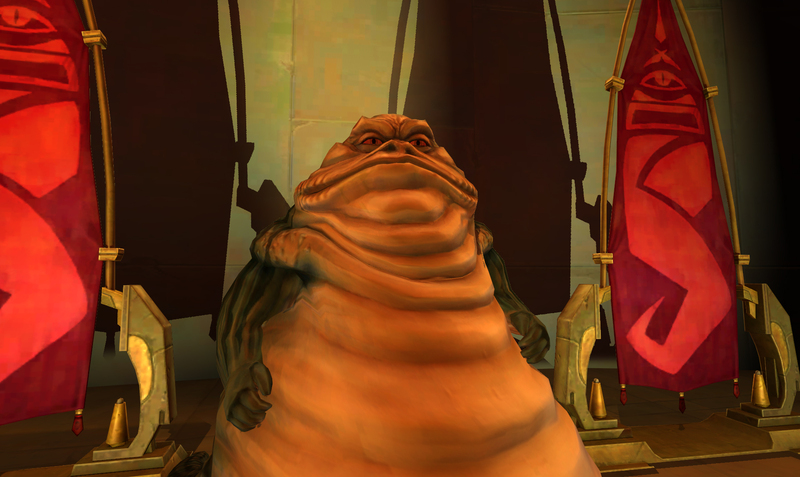 People still like Star Wars, then.